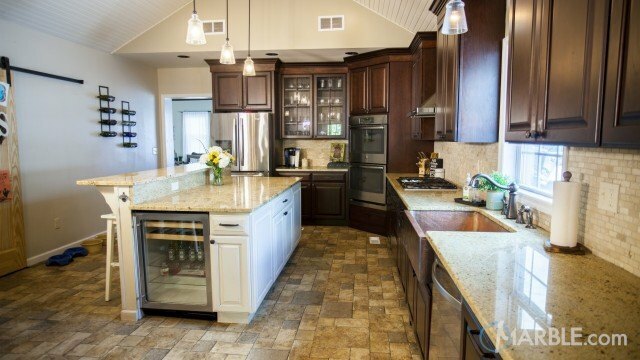 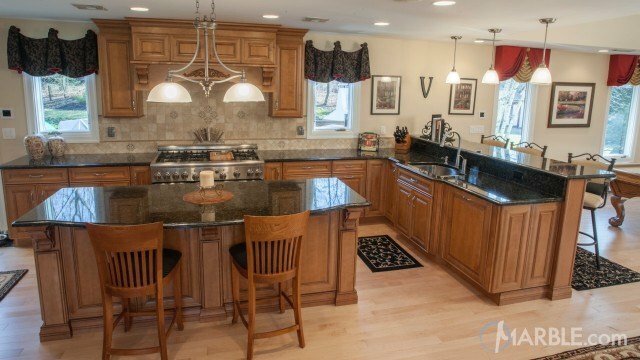 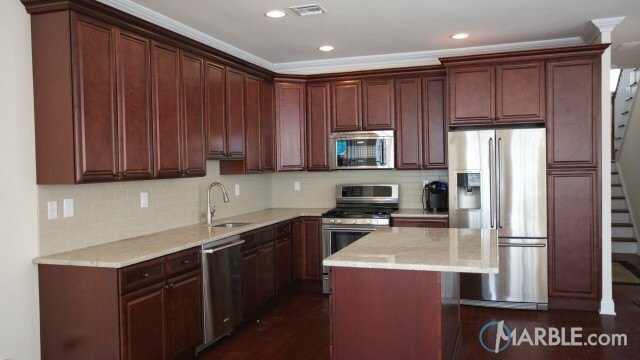 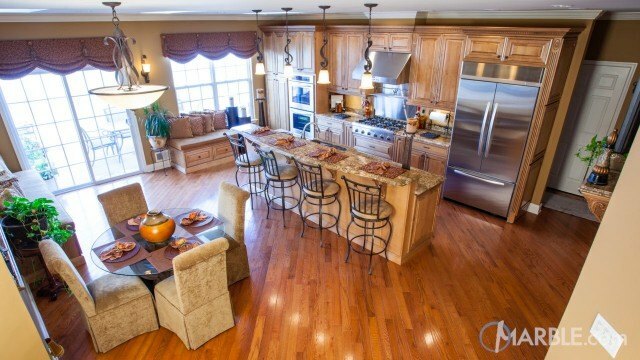 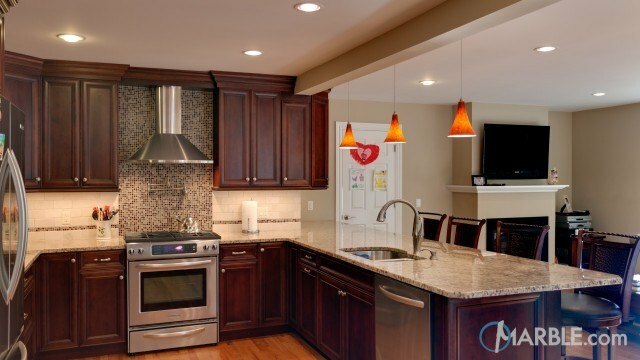 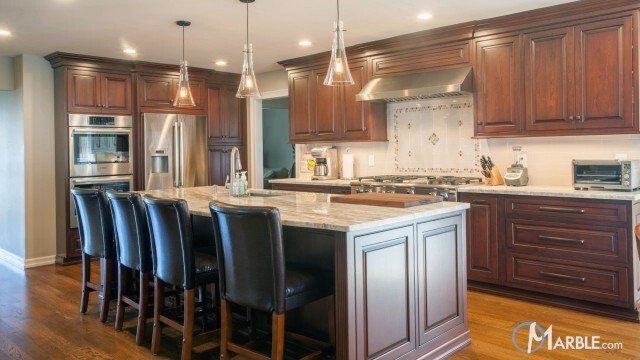 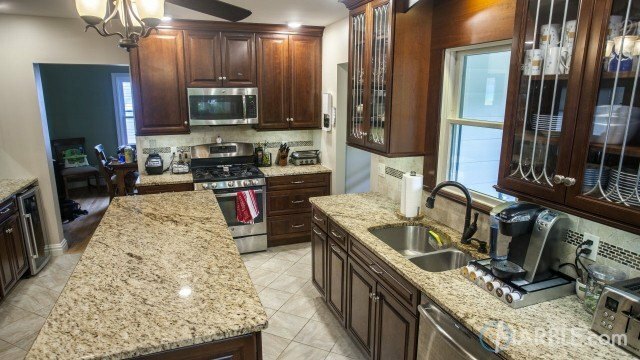 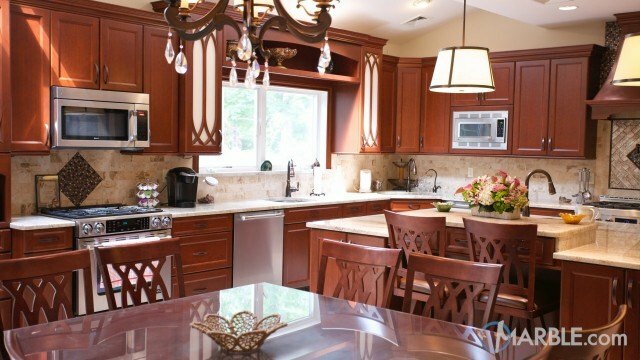 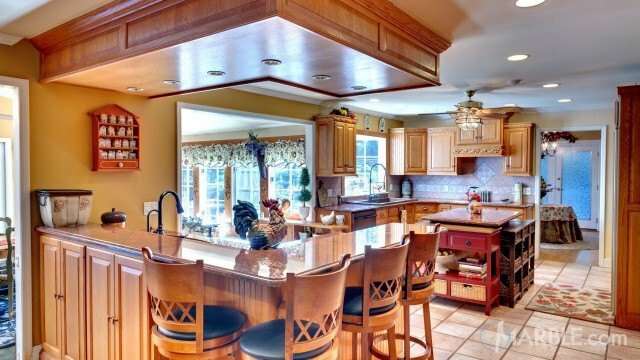 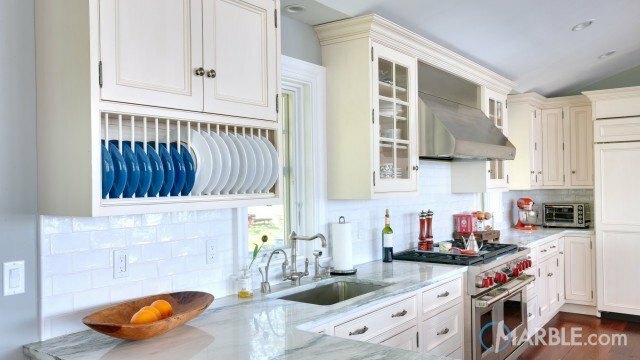 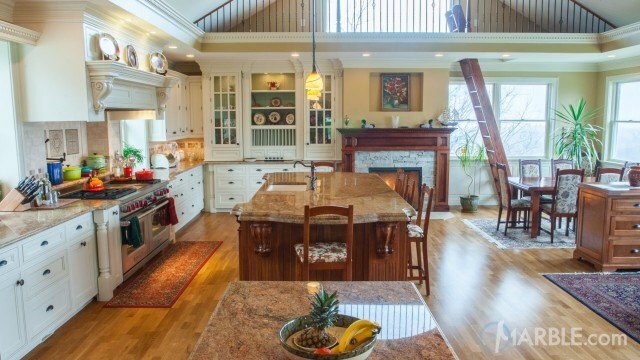 This modern kitchen utilizes all the secret tips for a perfect kitchen. 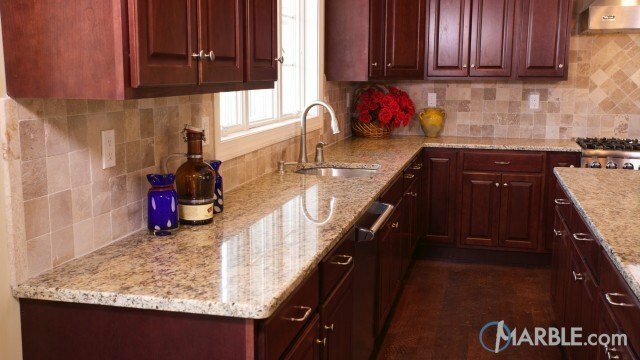 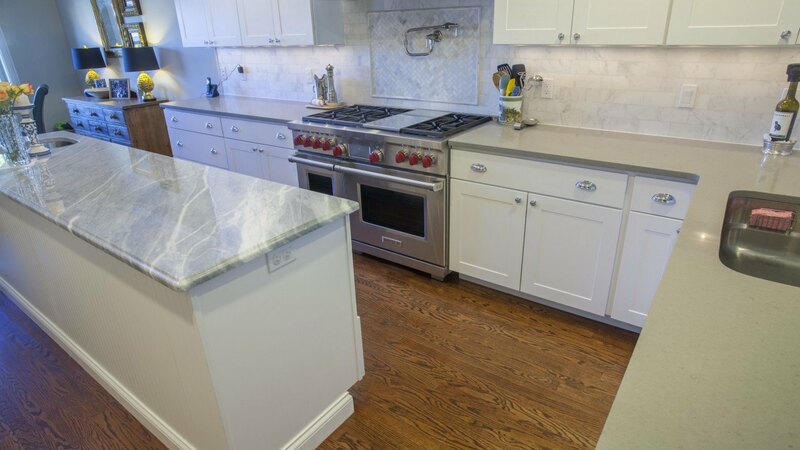 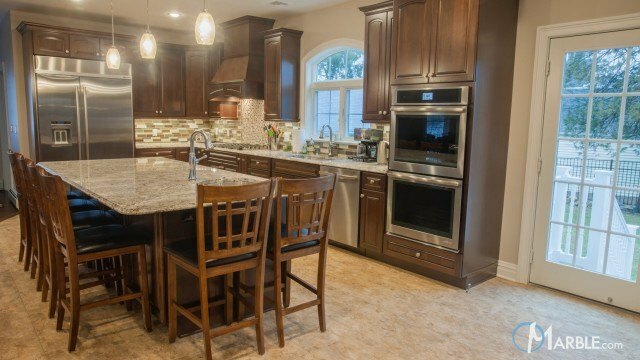 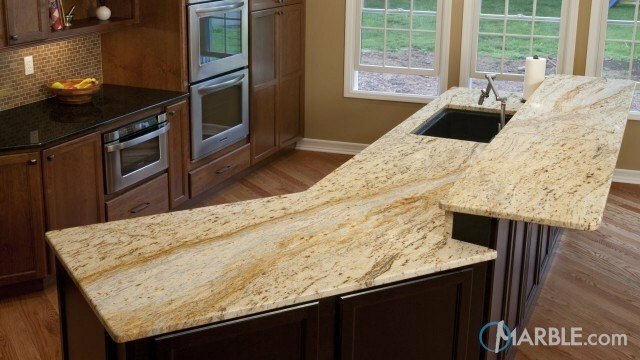 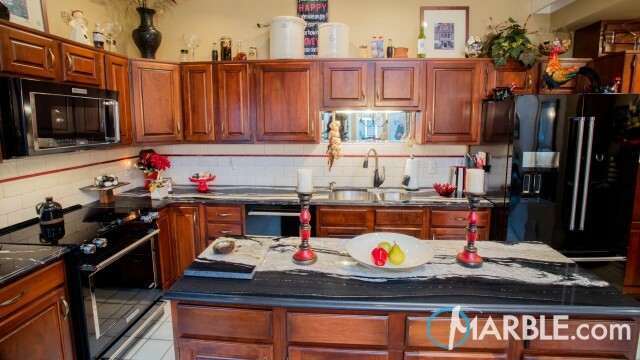 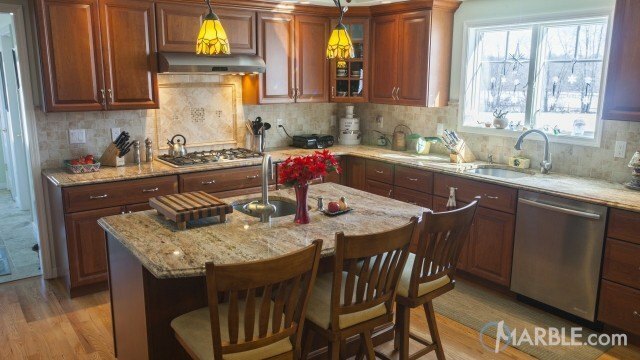 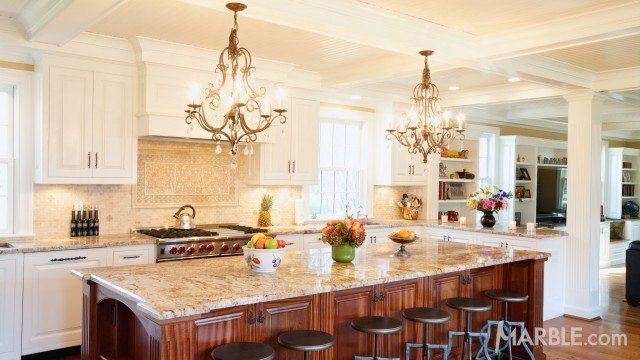 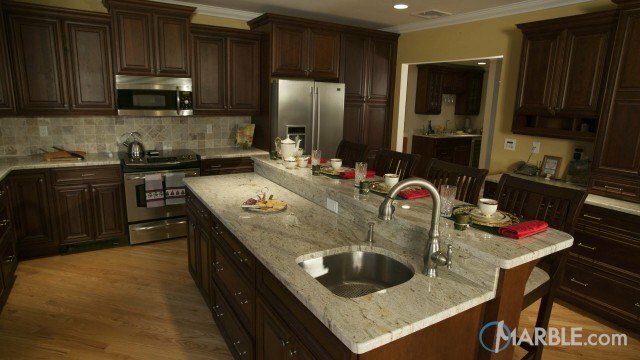 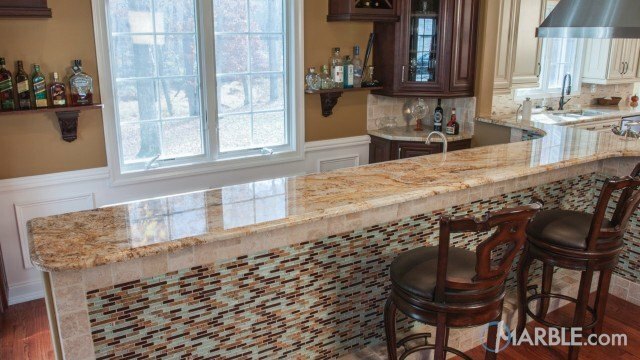 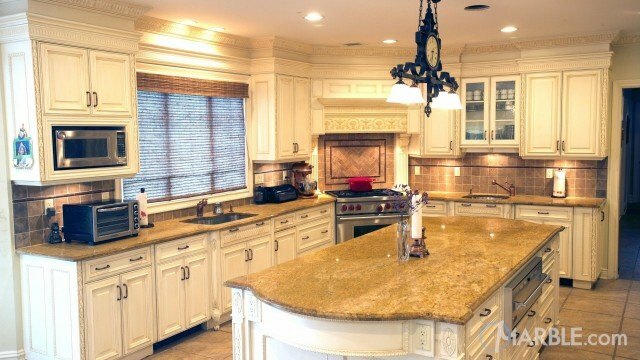 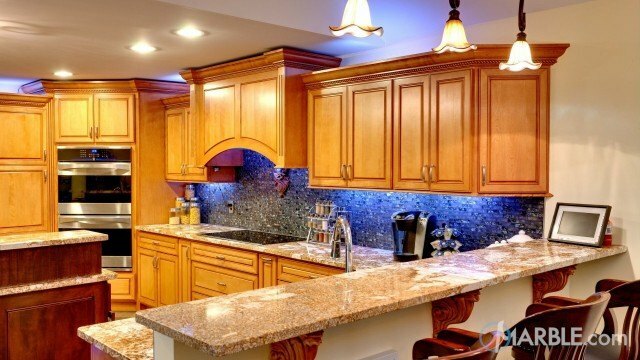 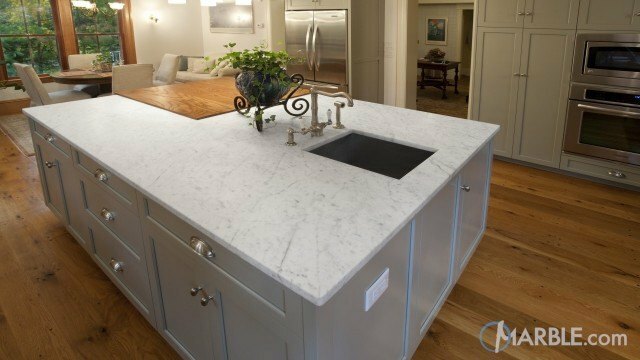 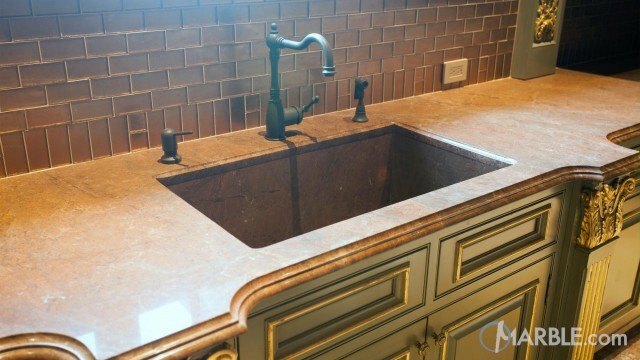 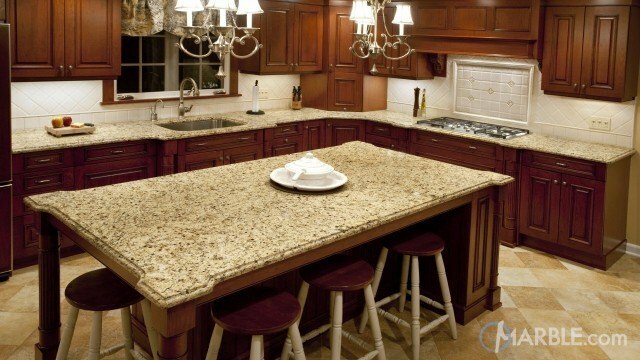 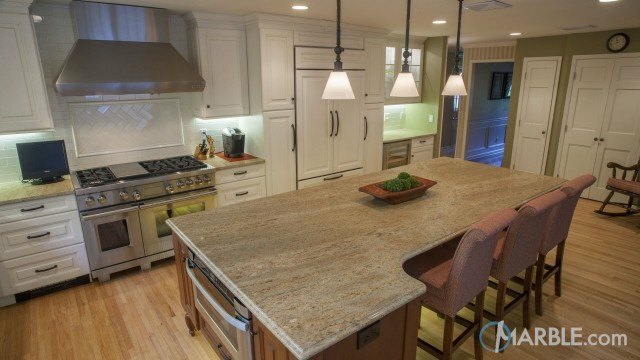 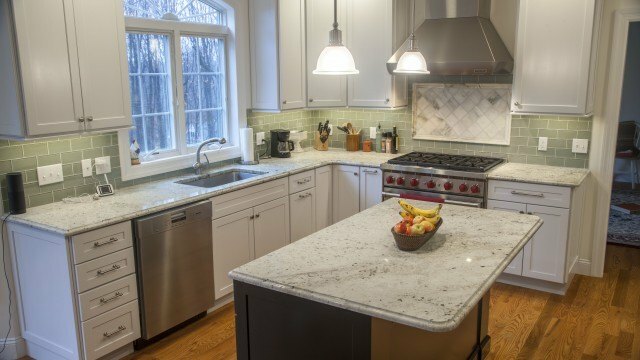 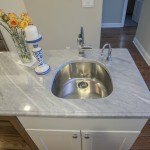 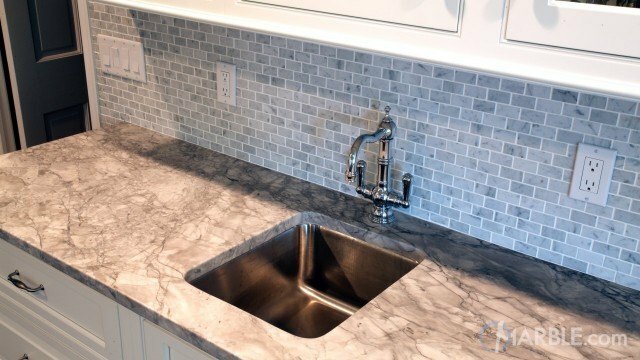 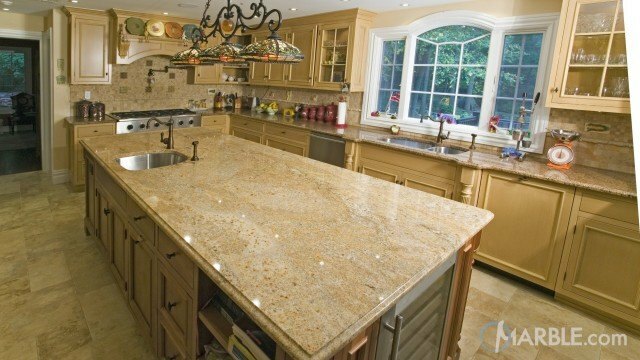 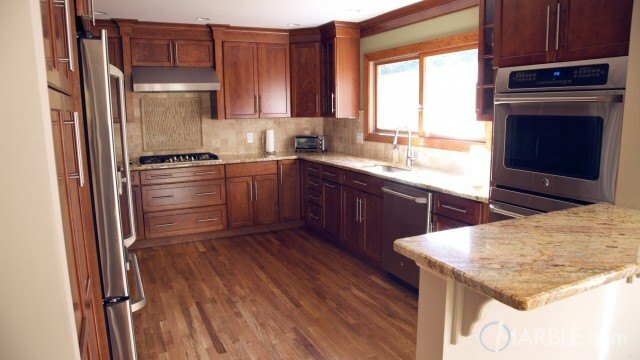 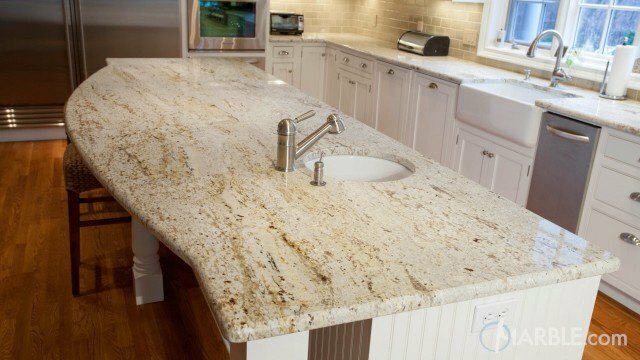 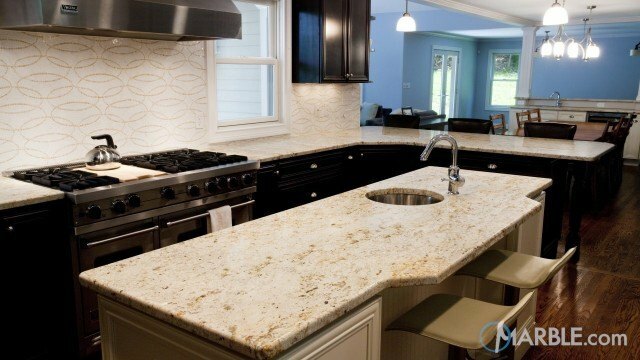 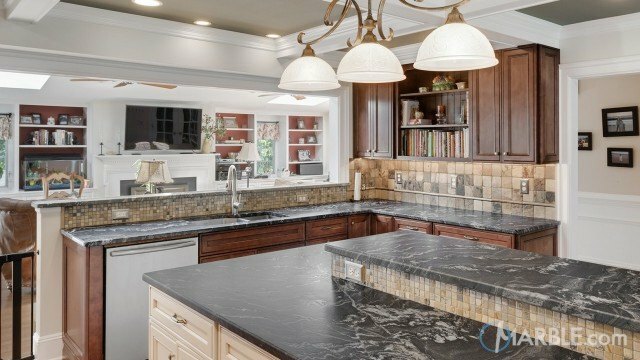 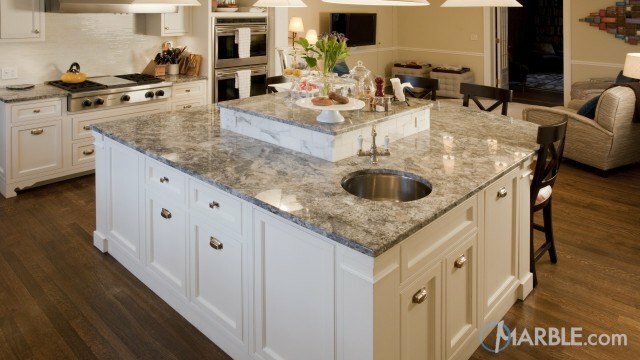 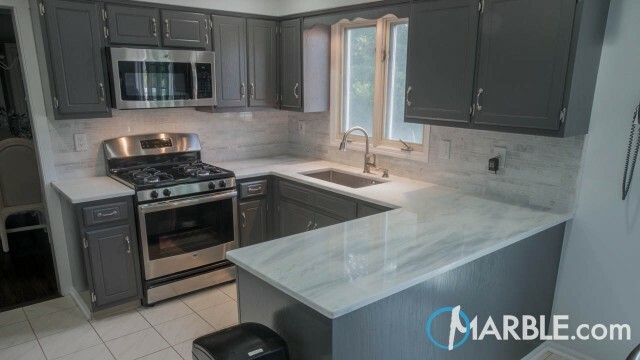 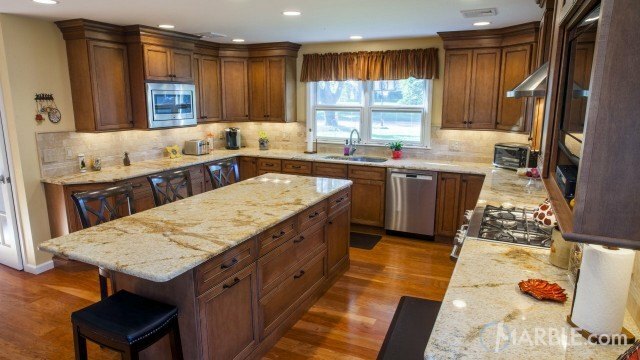 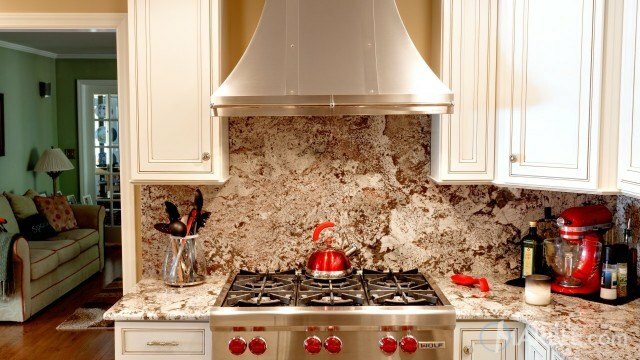 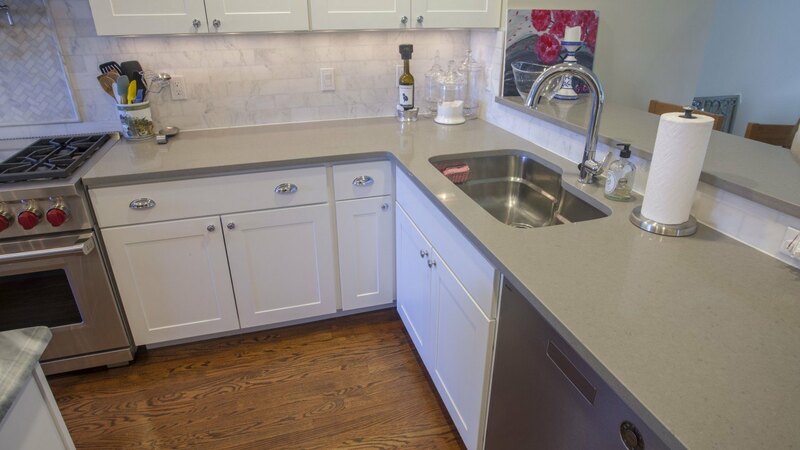 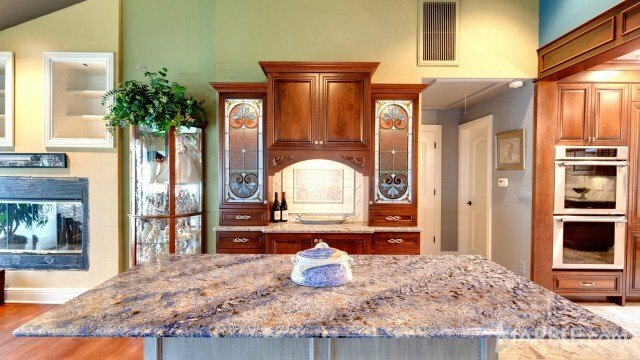 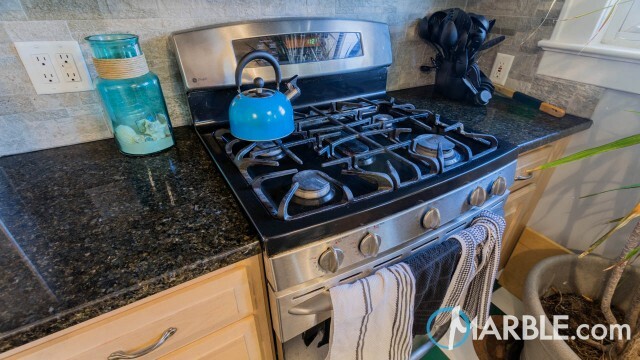 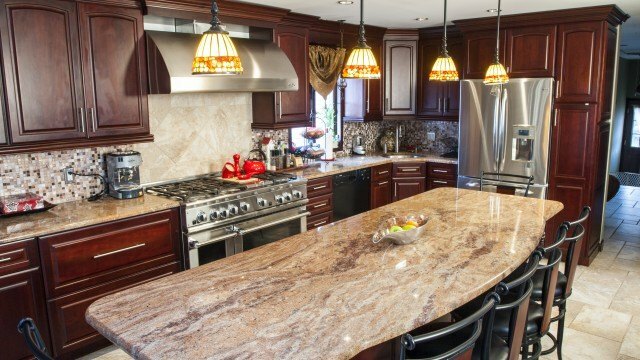 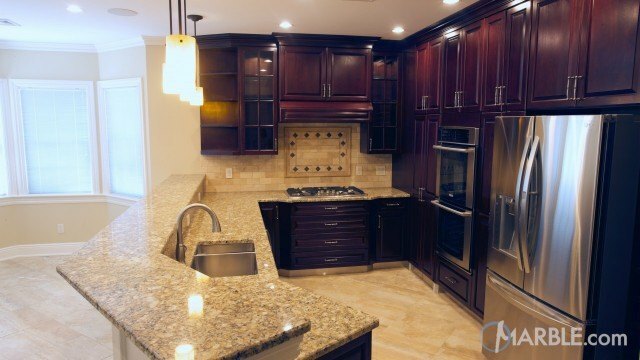 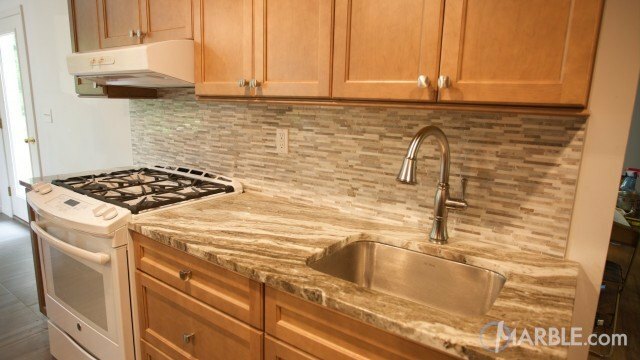 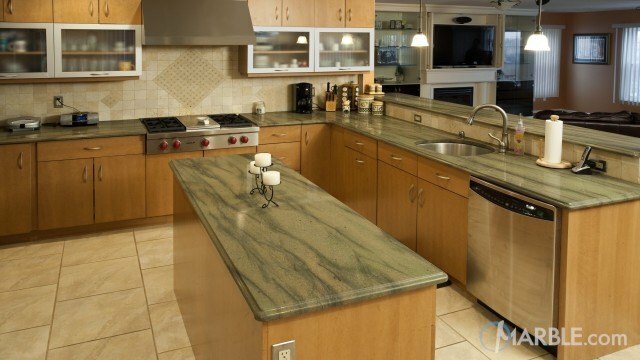 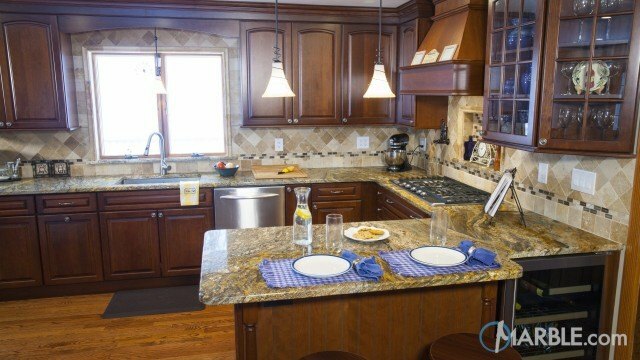 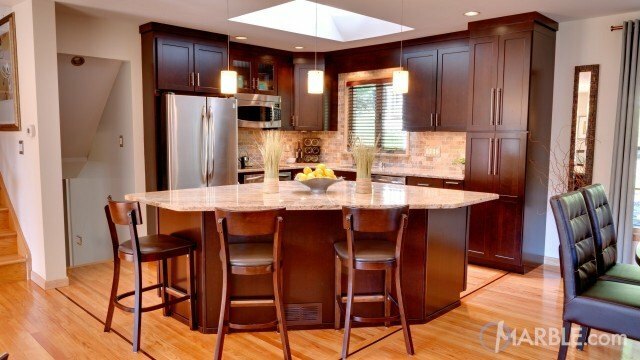 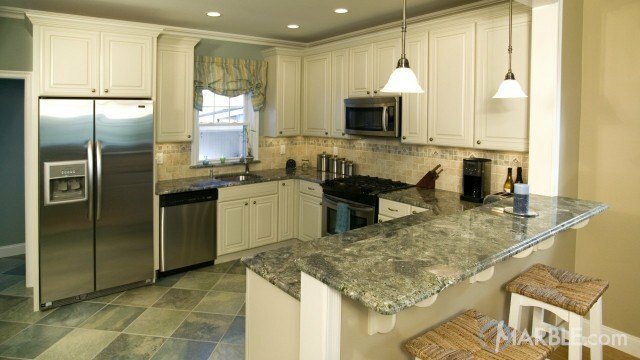 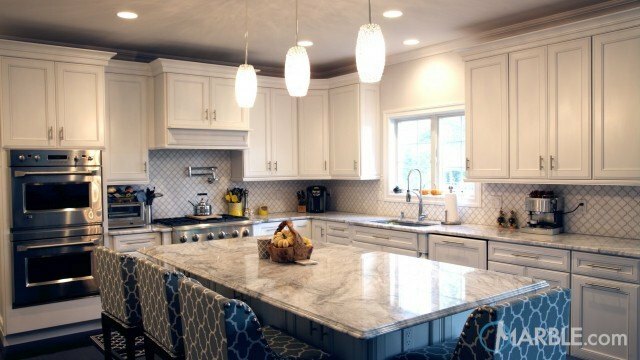 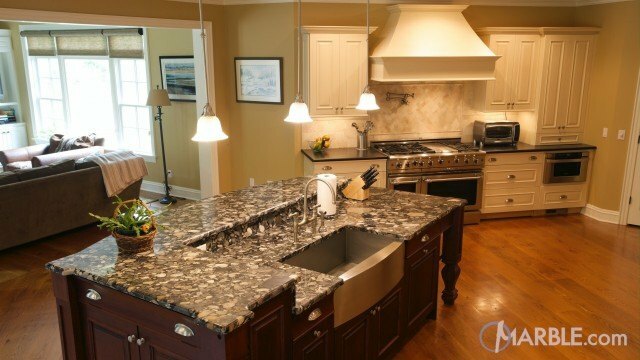 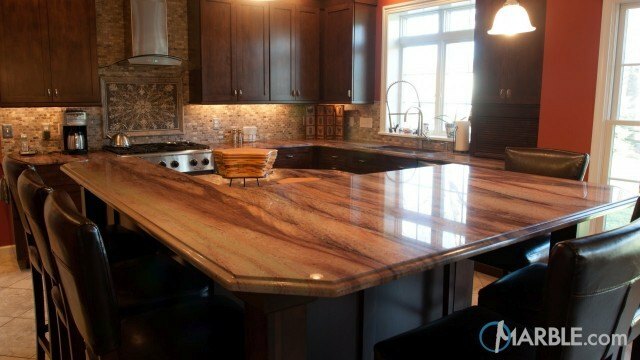 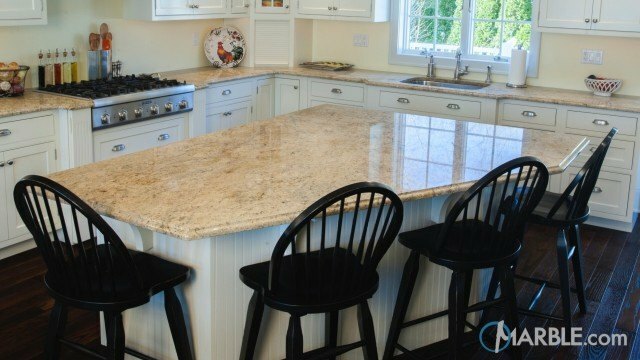 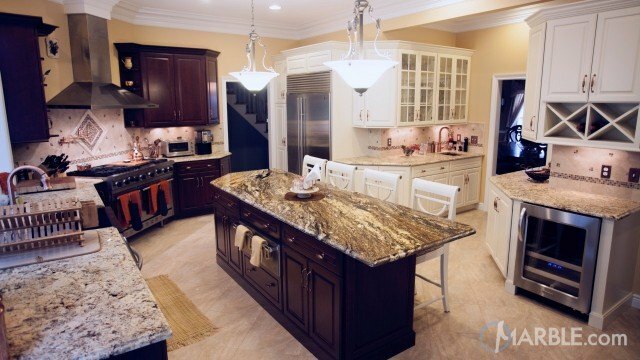 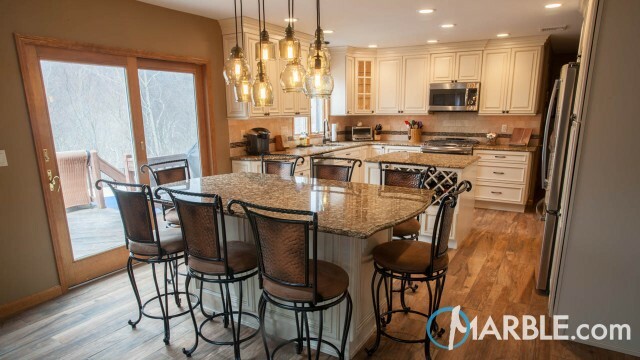 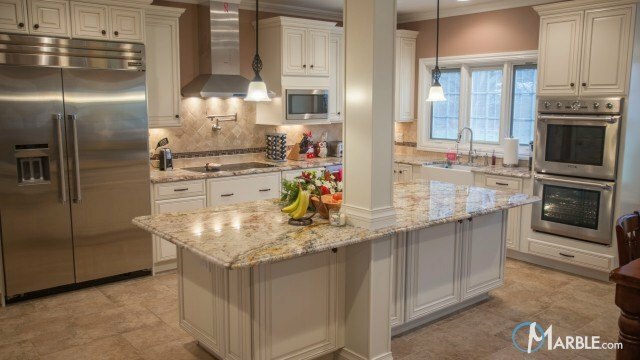 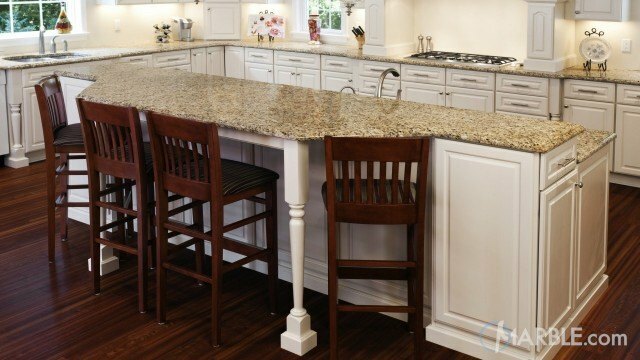 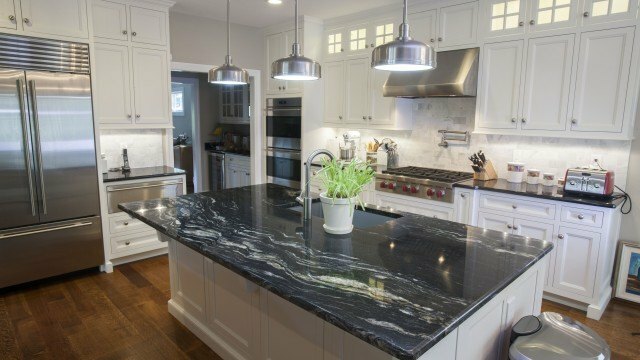 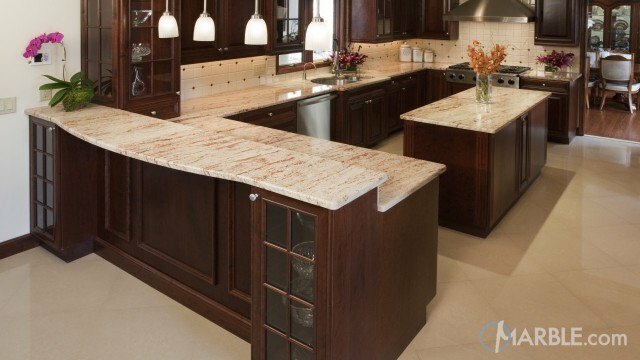 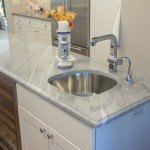 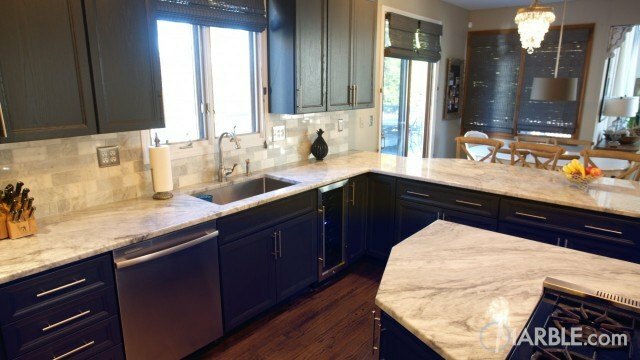 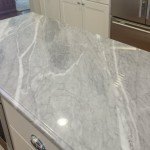 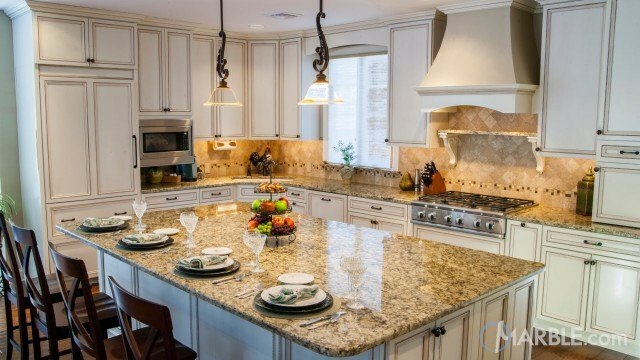 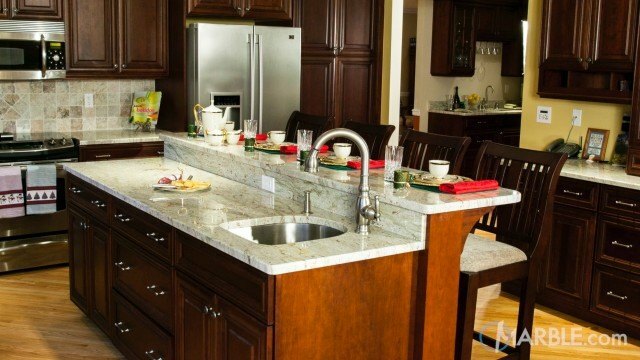 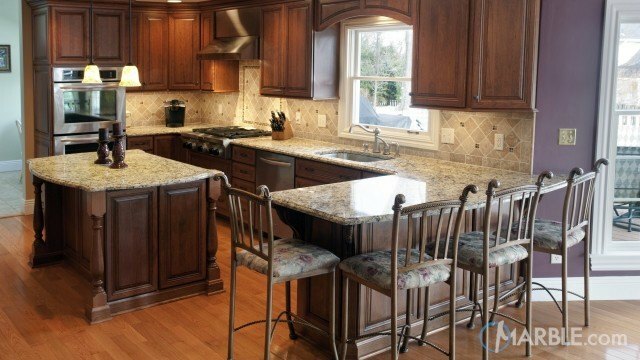 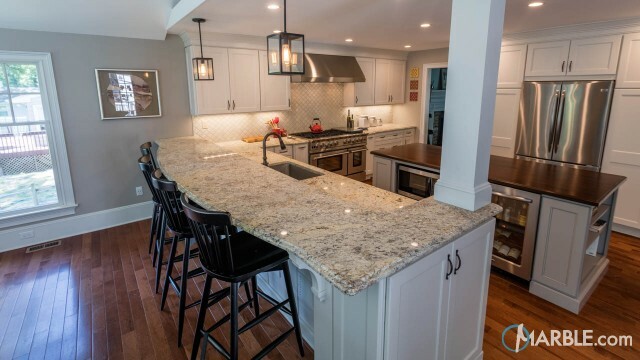 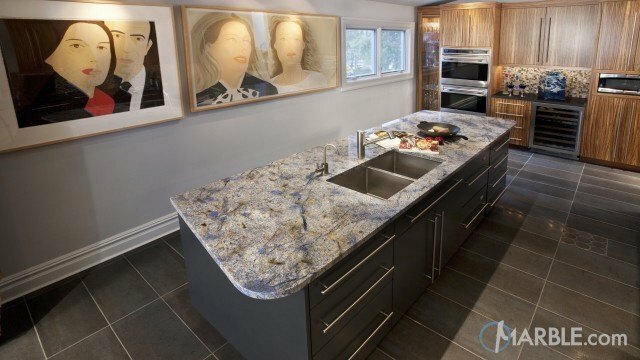 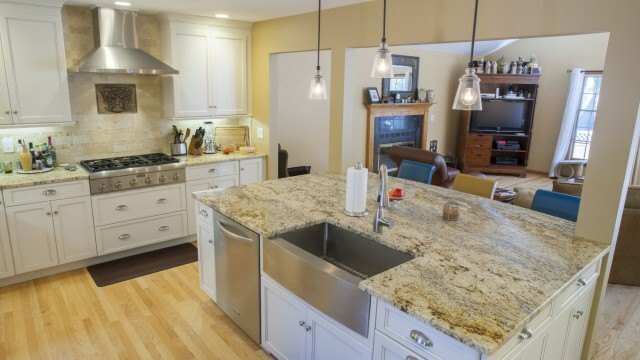 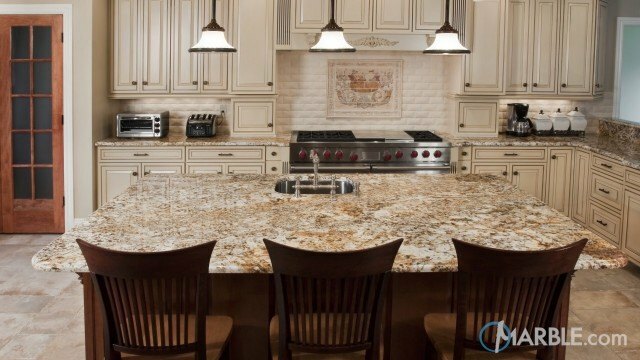 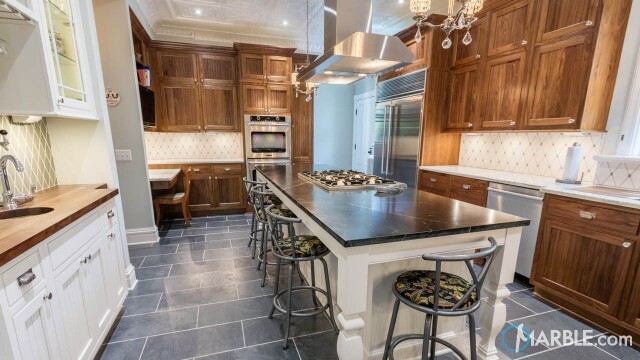 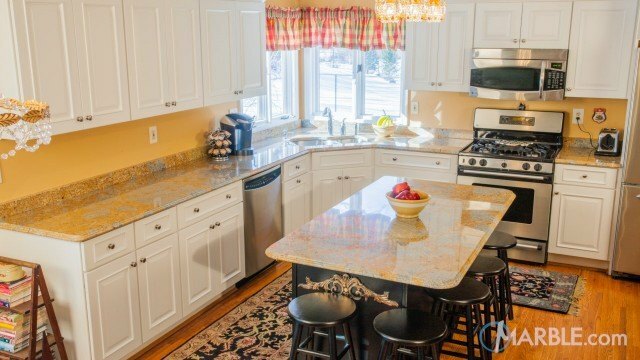 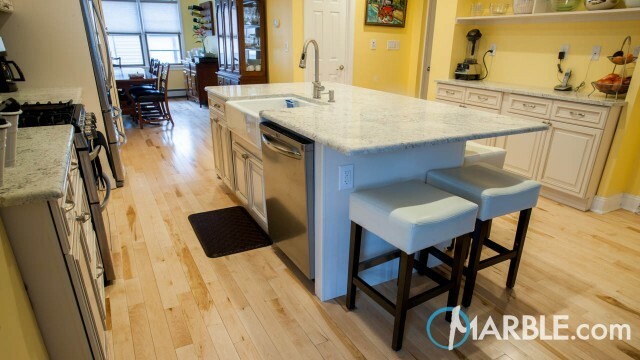 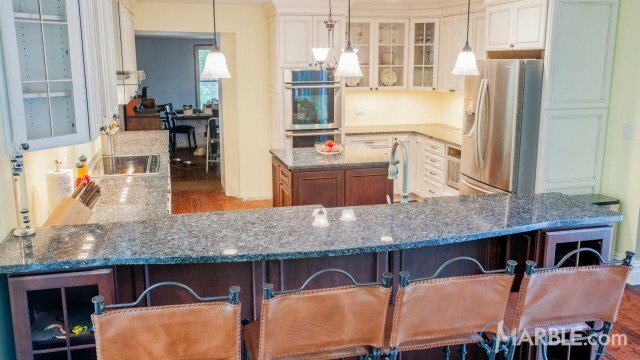 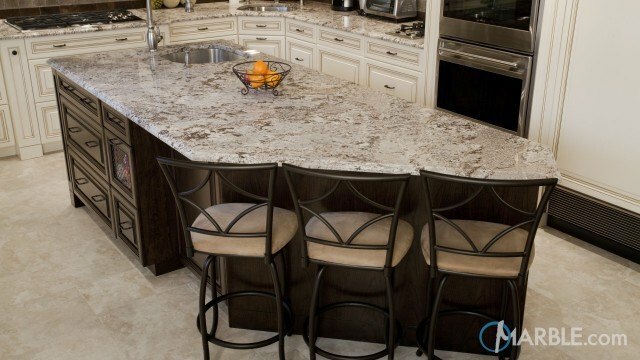 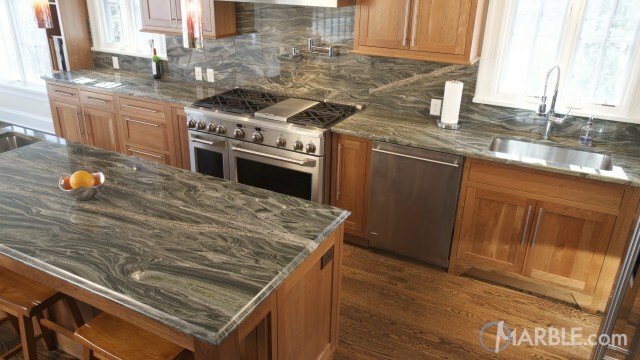 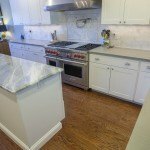 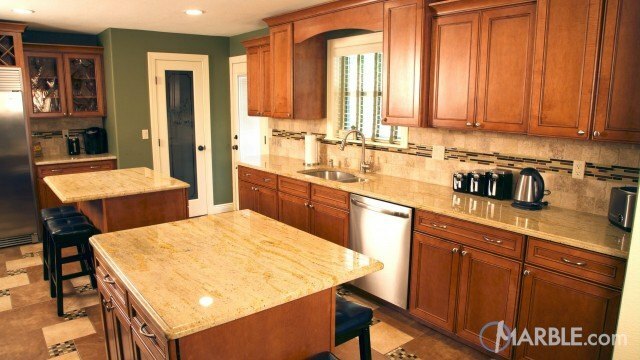 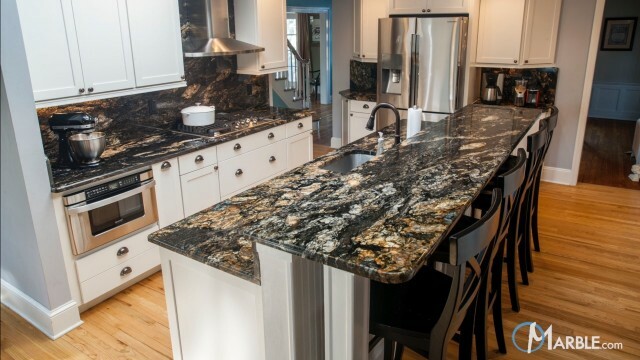 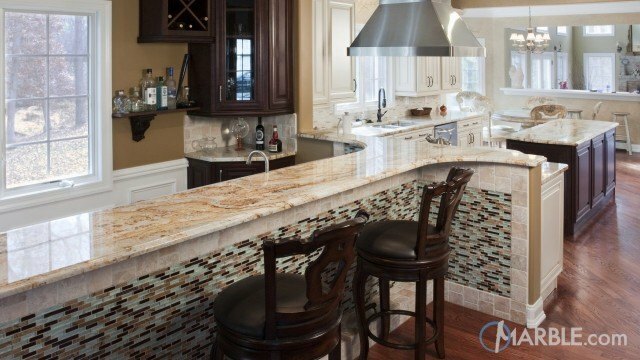 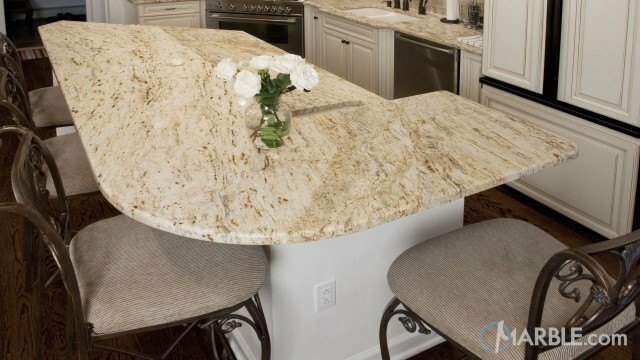 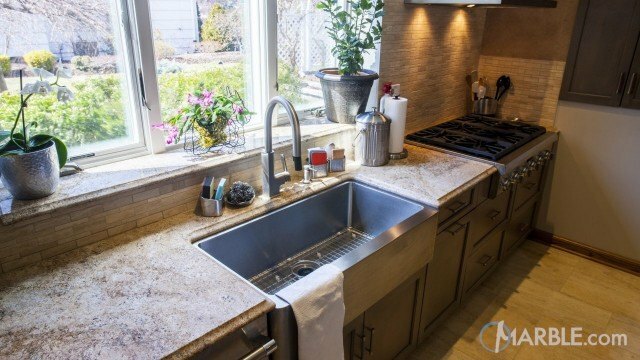 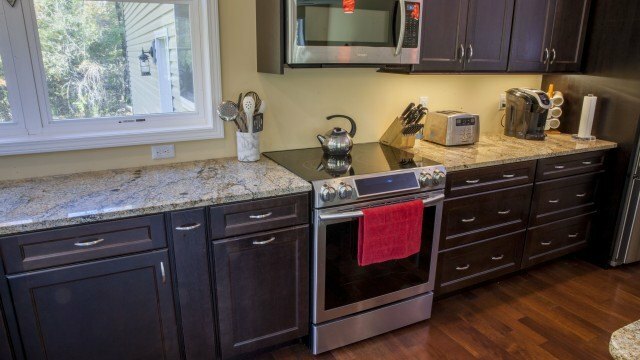 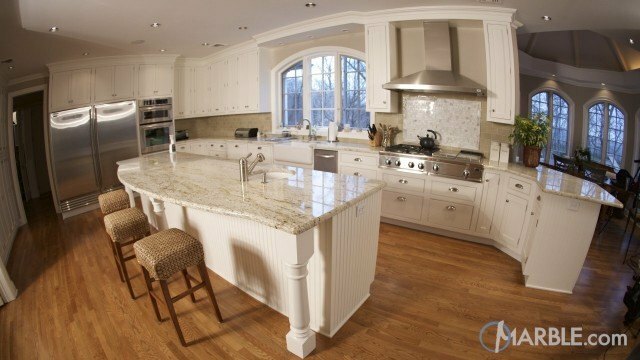 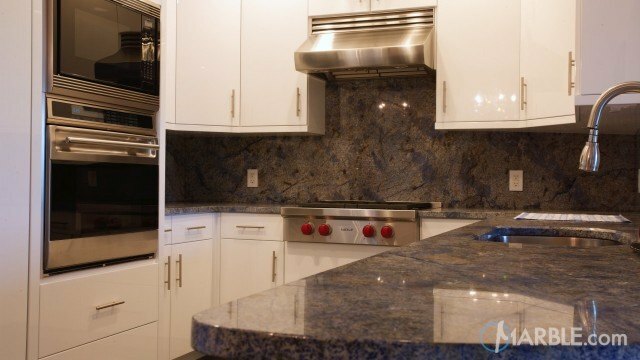 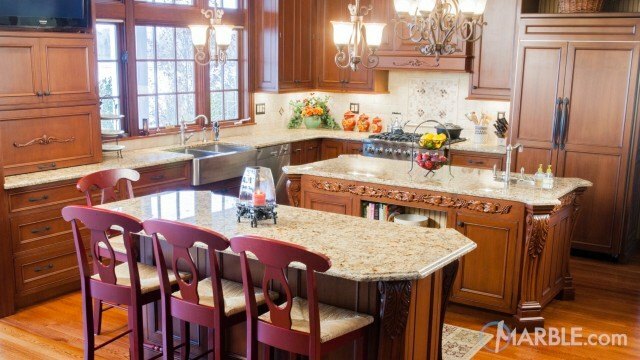 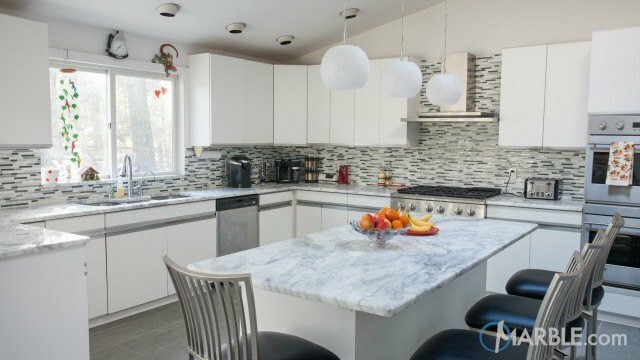 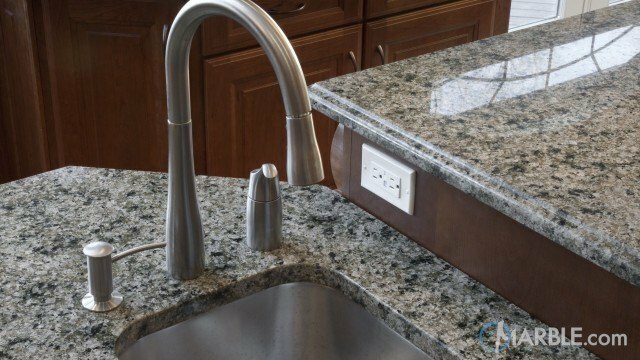 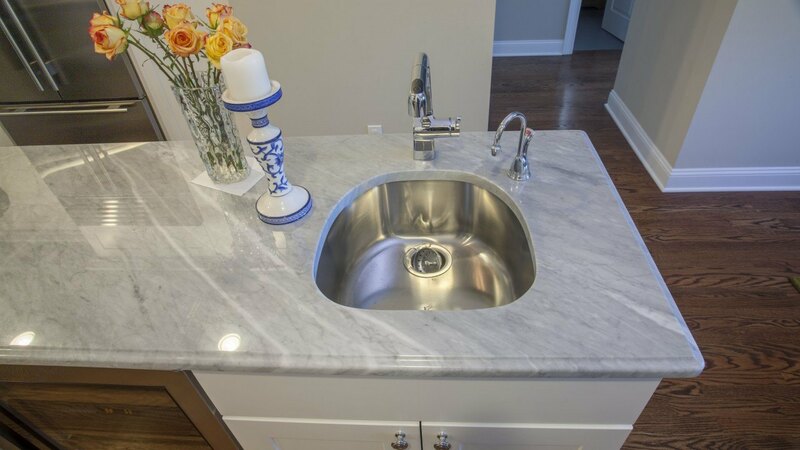 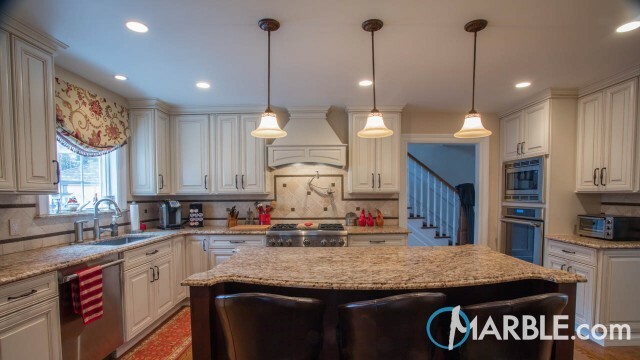 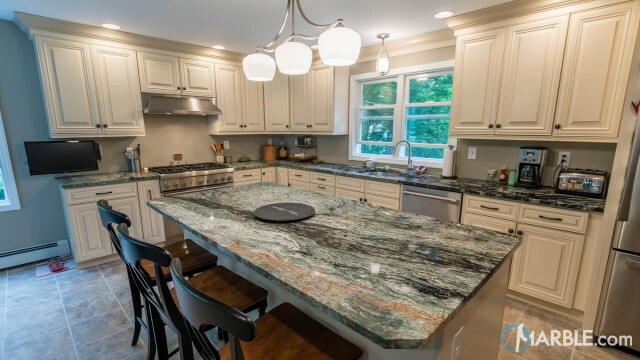 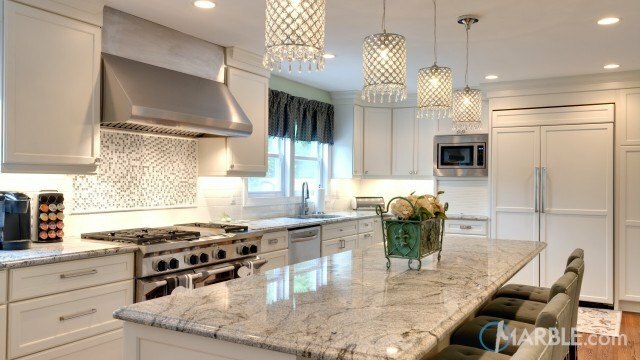 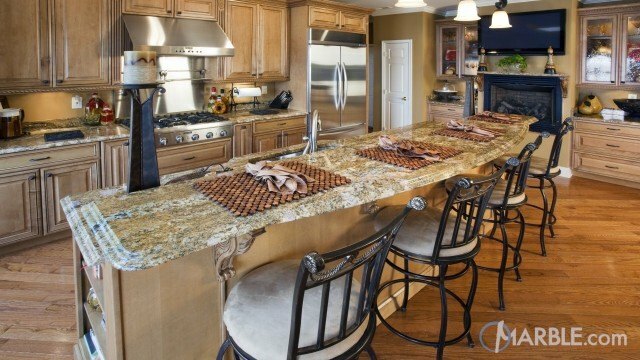 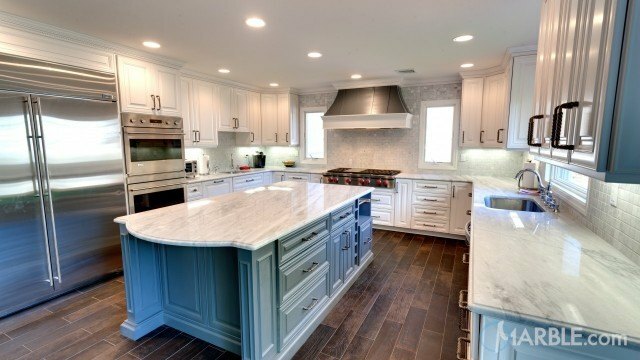 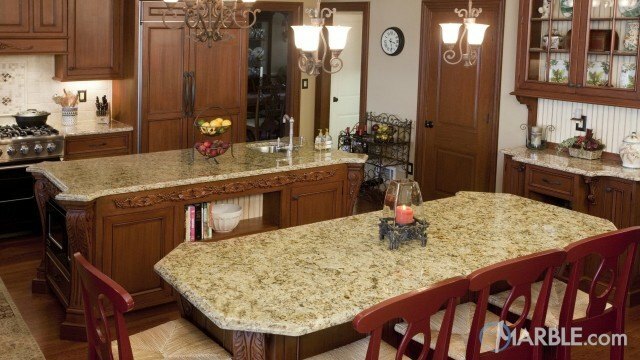 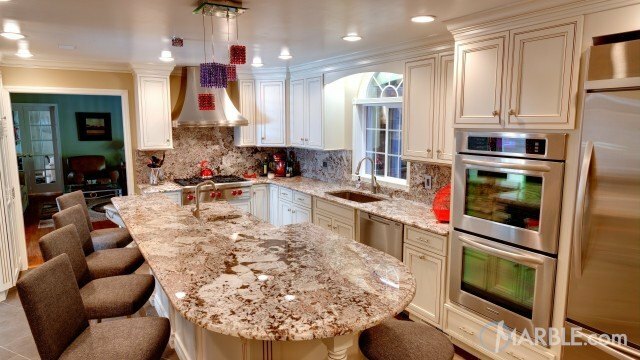 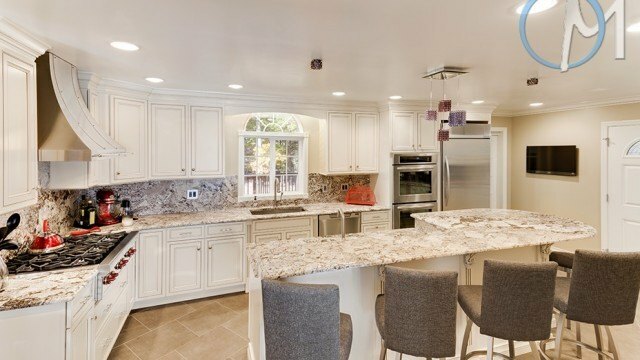 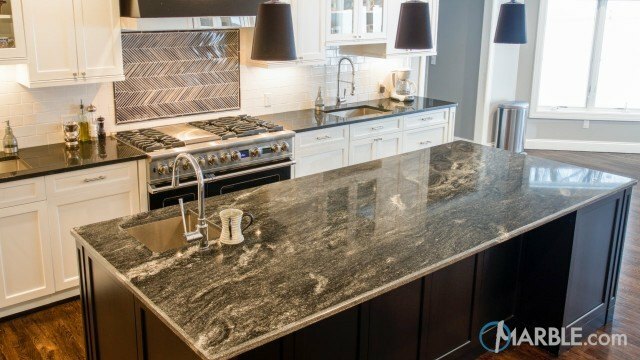 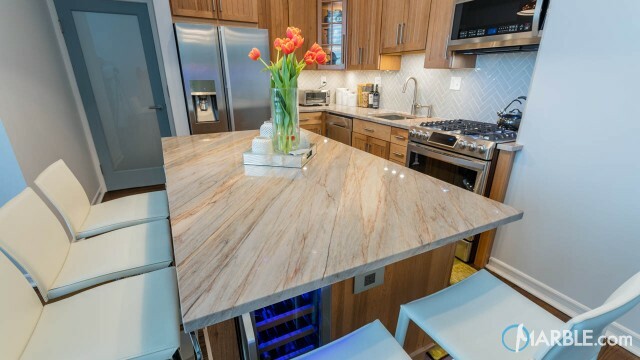 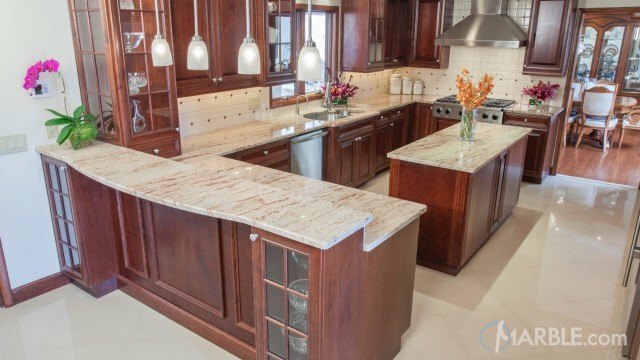 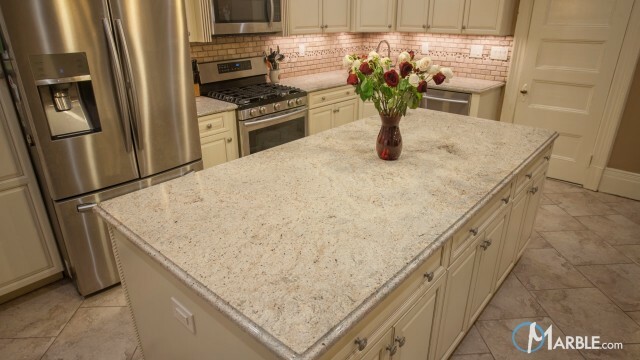 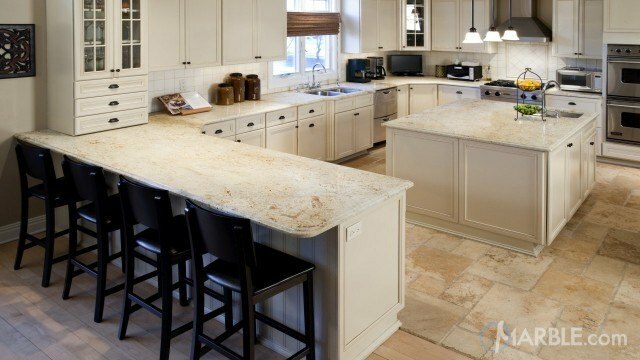 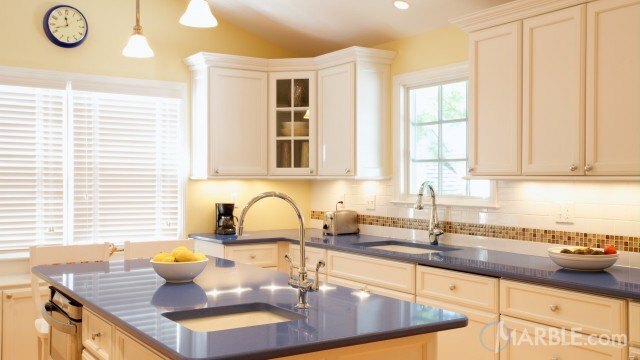 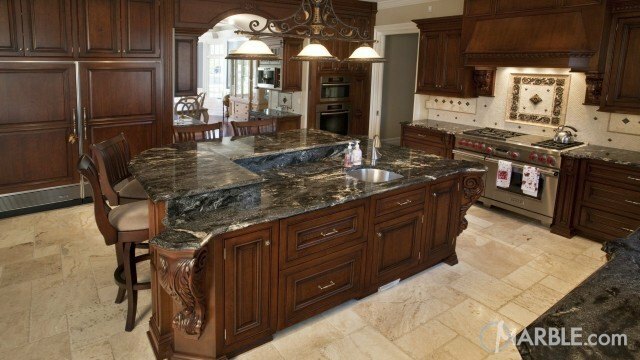 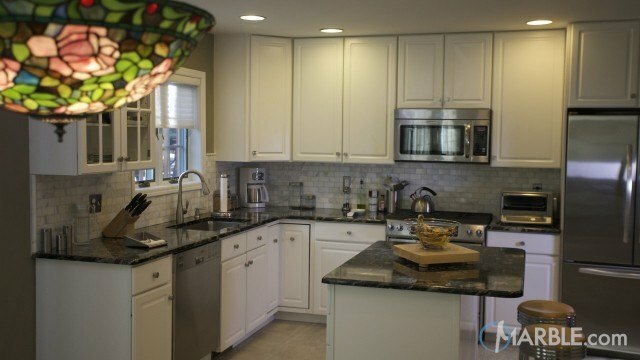 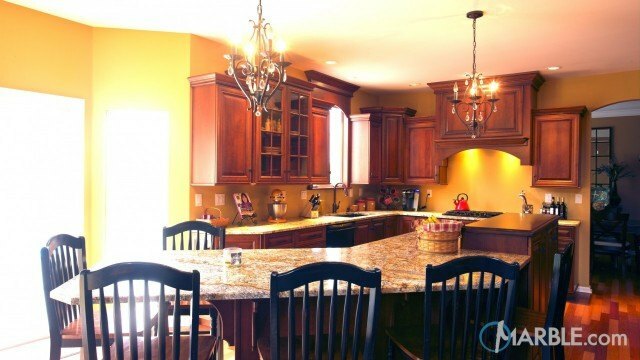 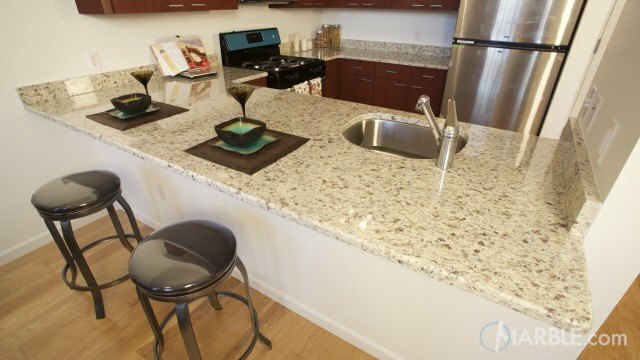 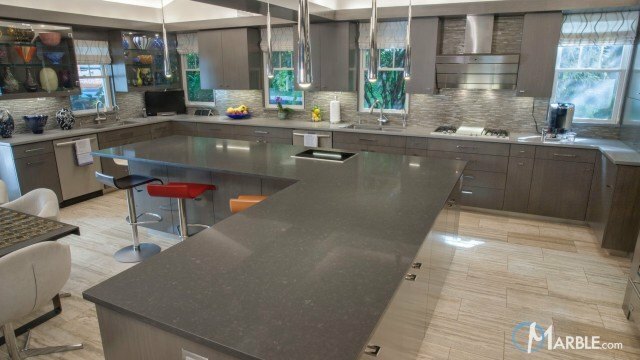 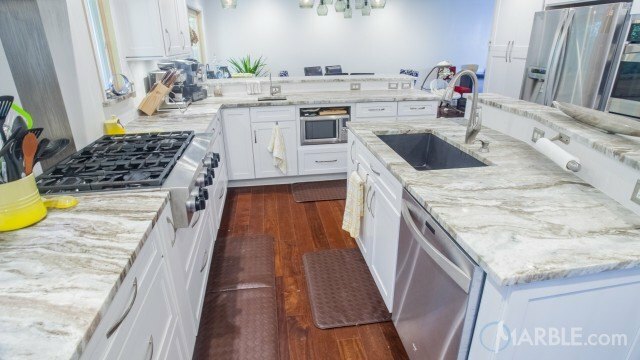 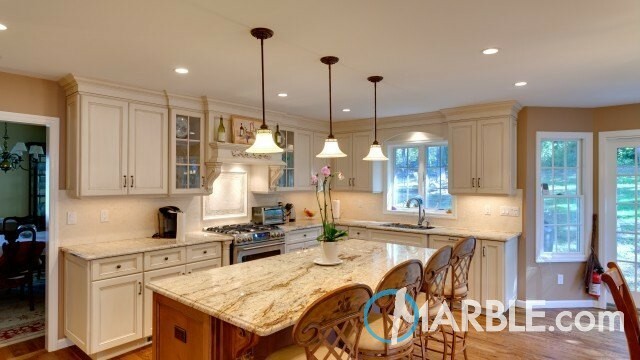 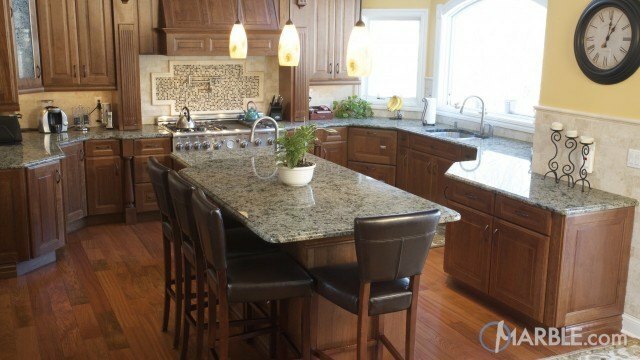 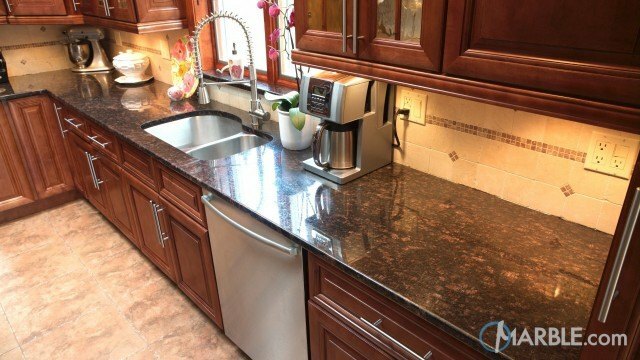 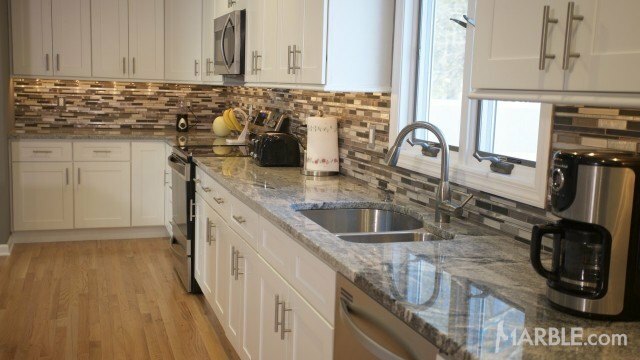 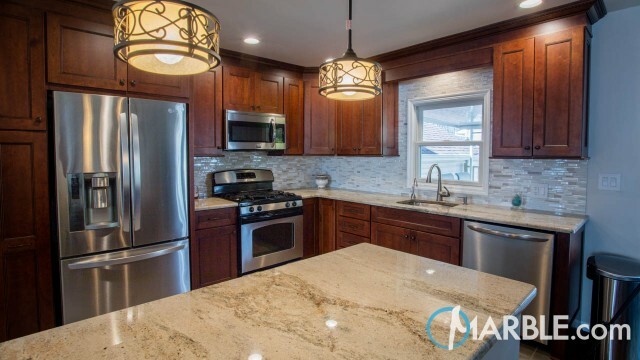 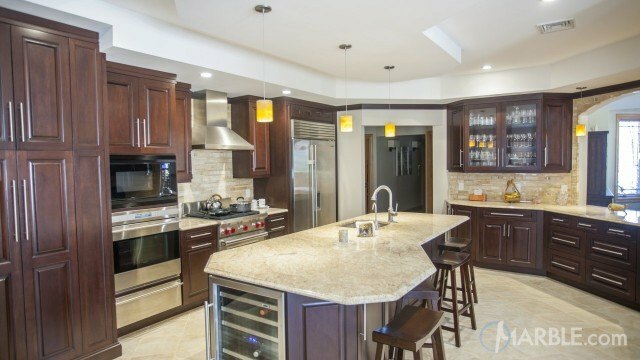 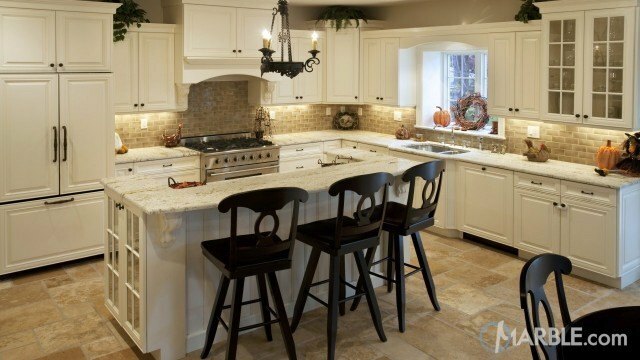 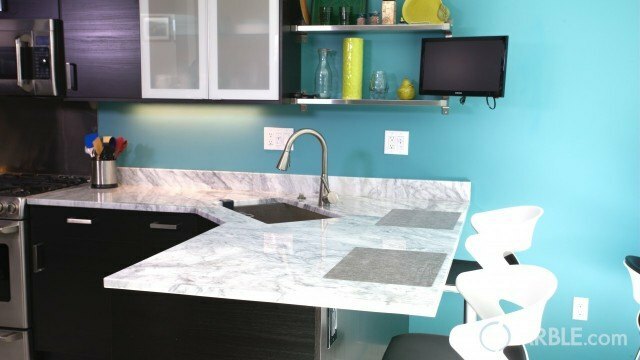 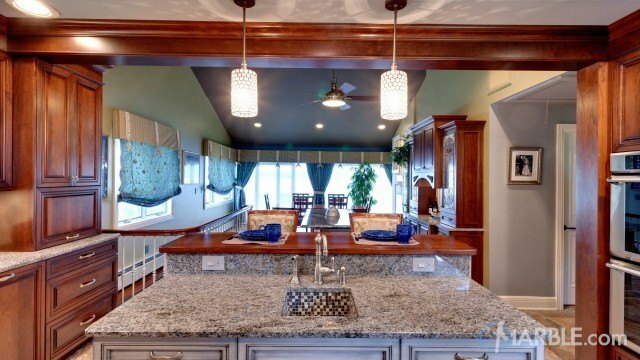 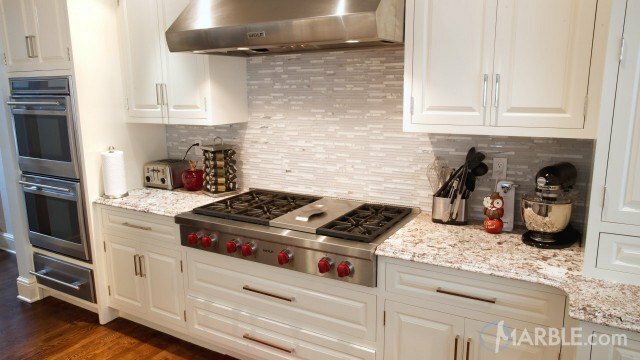 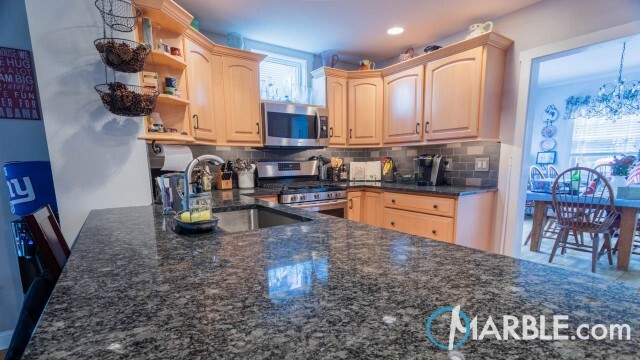 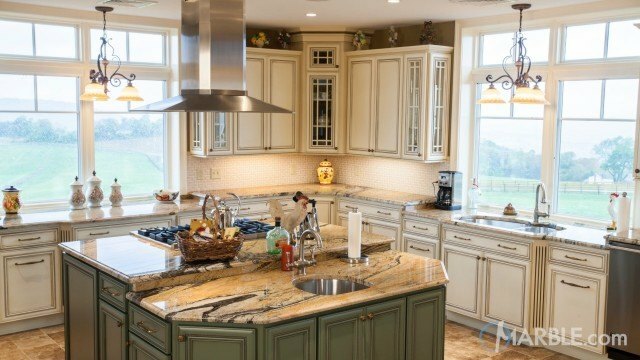 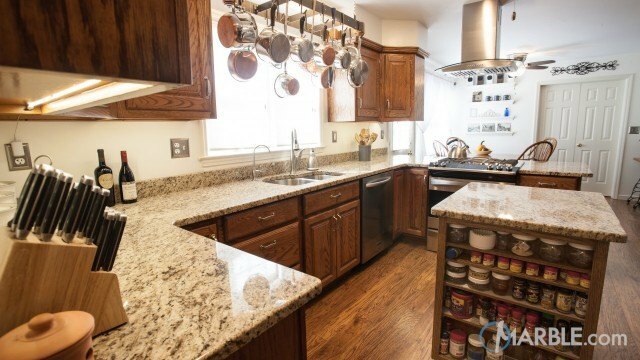 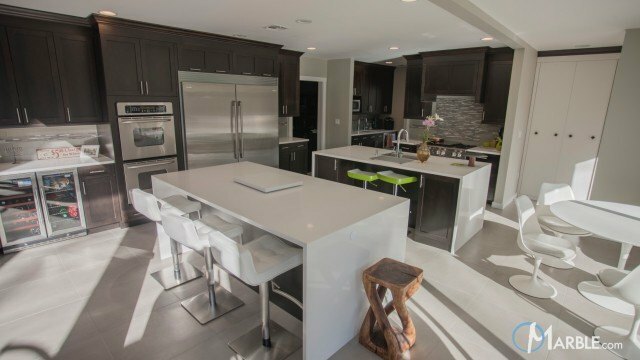 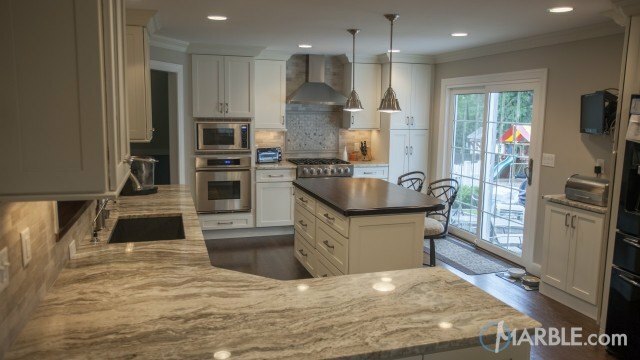 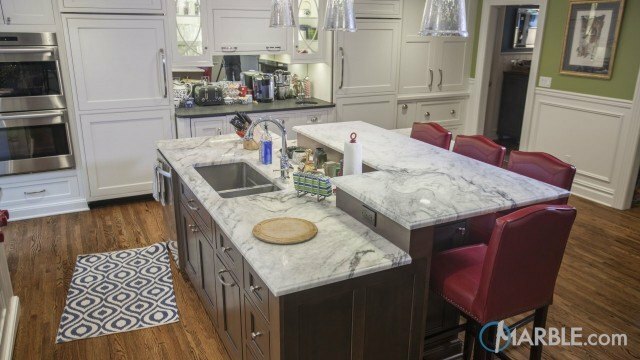 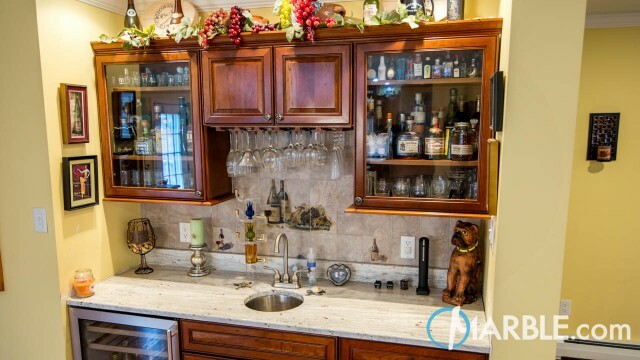 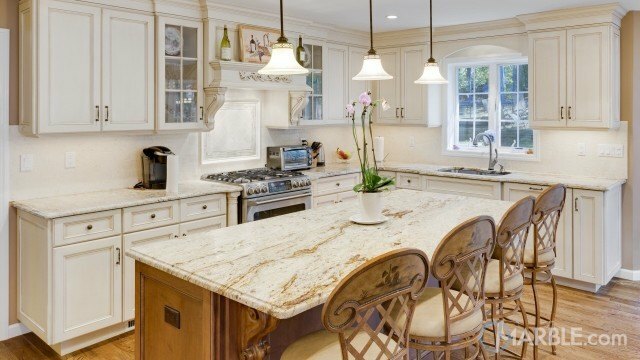 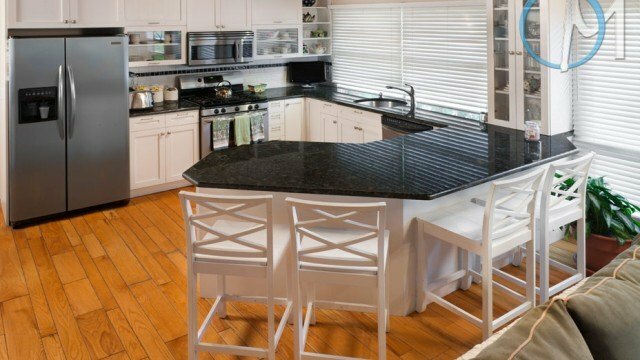 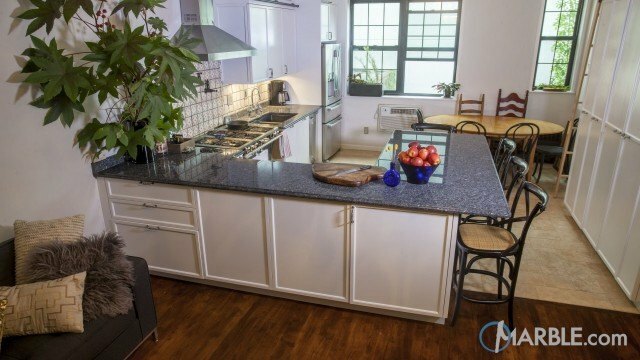 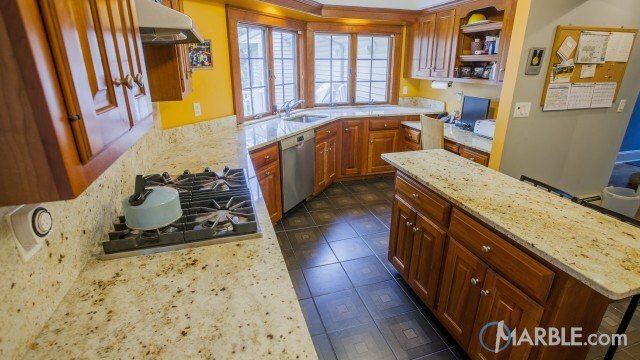 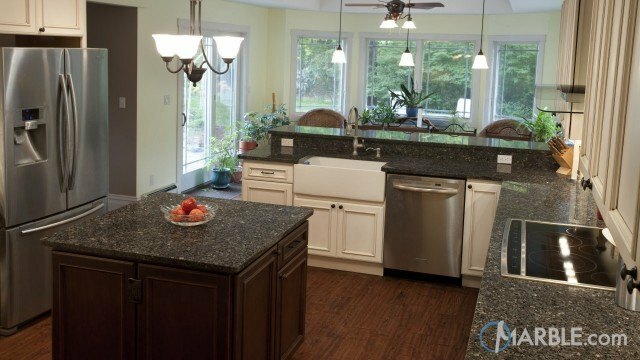 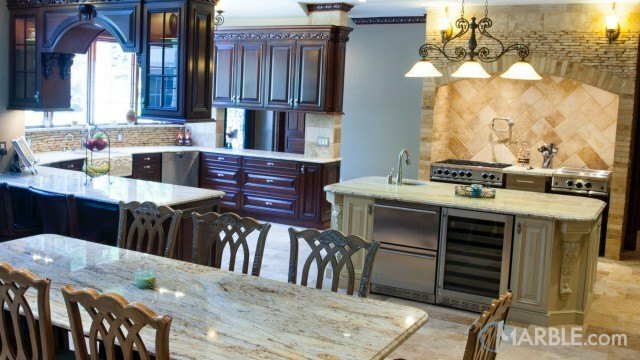 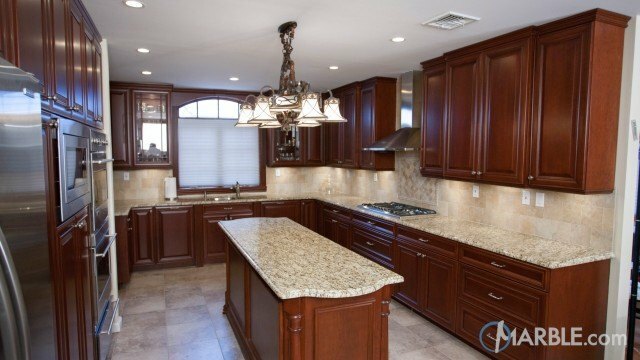 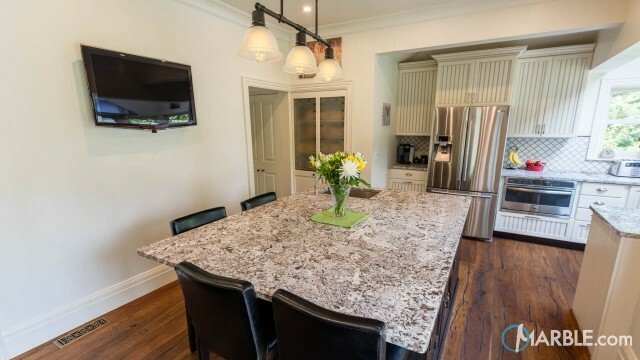 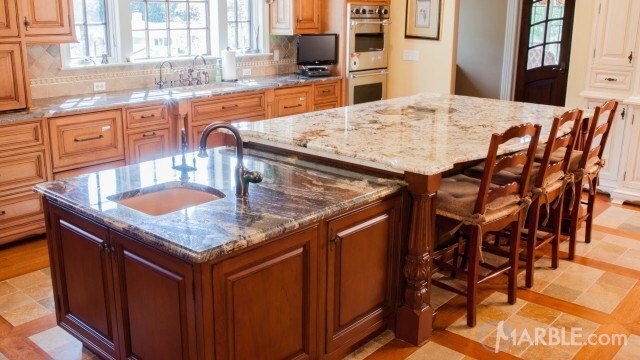 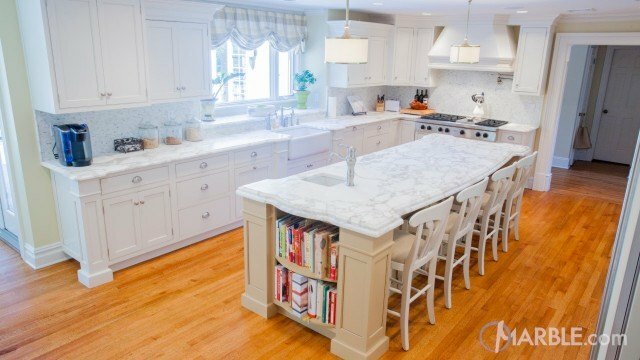 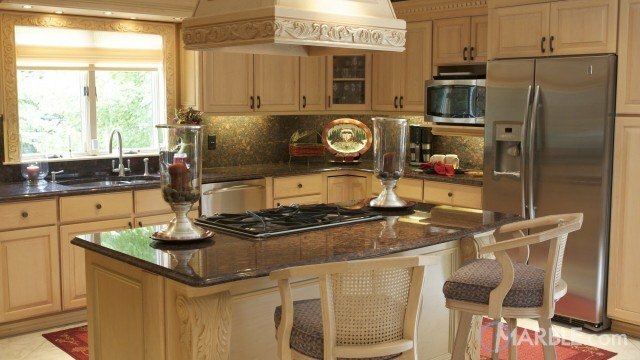 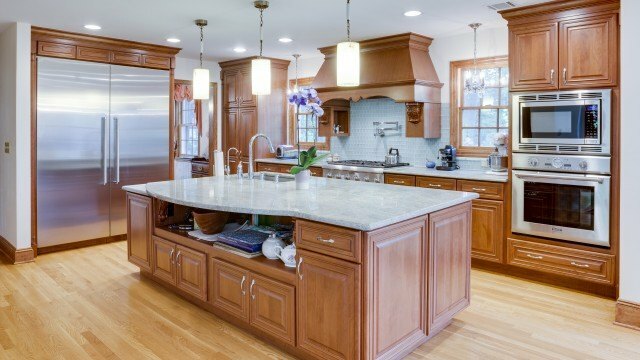 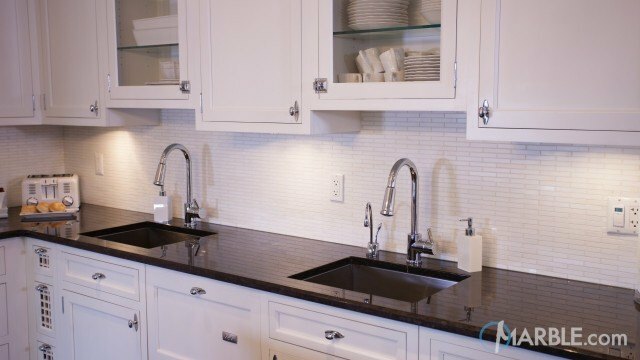 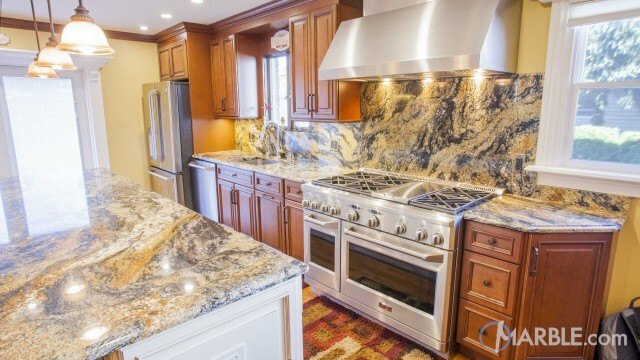 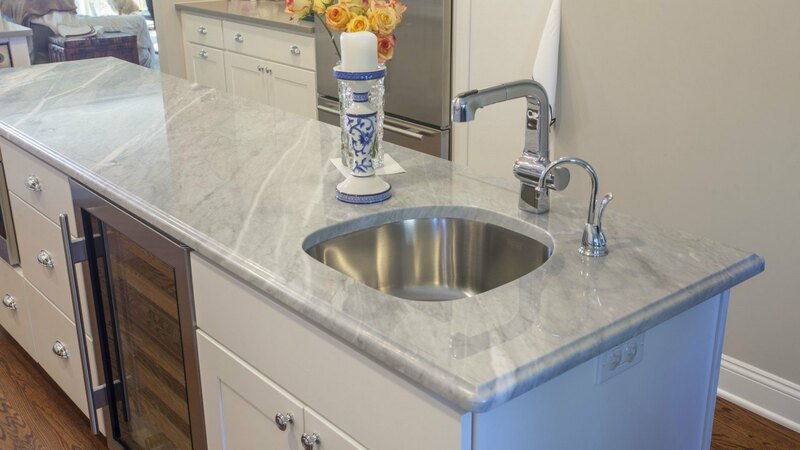 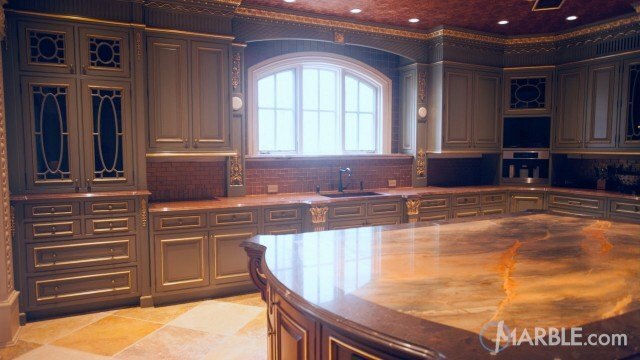 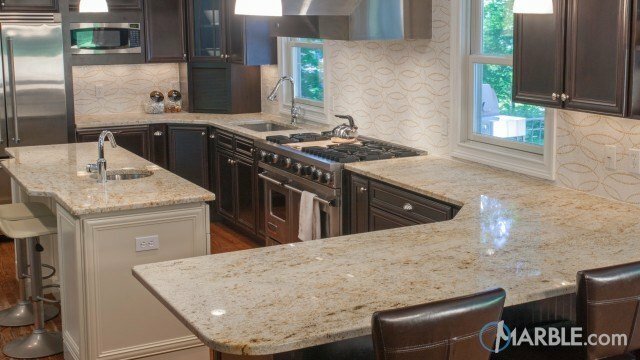 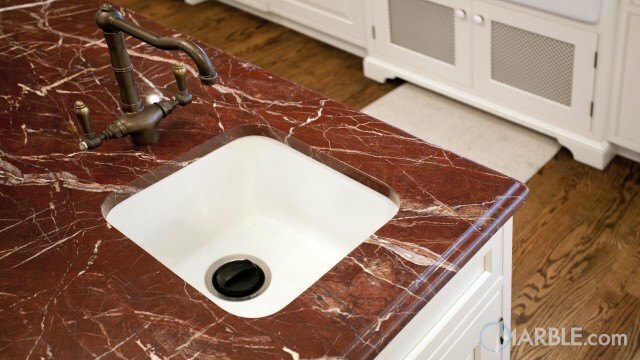 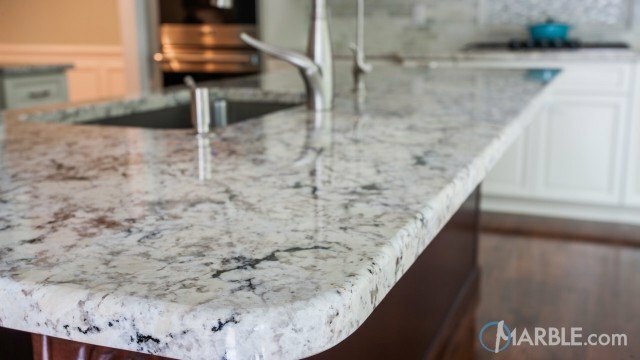 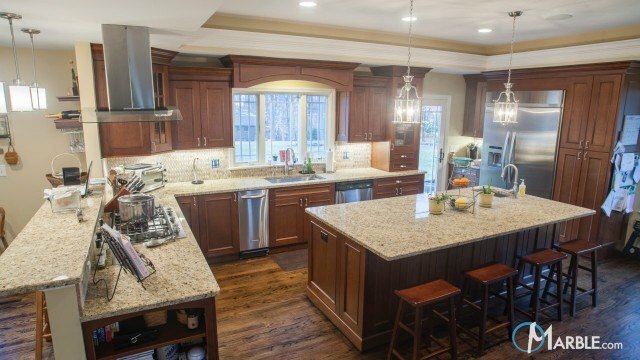 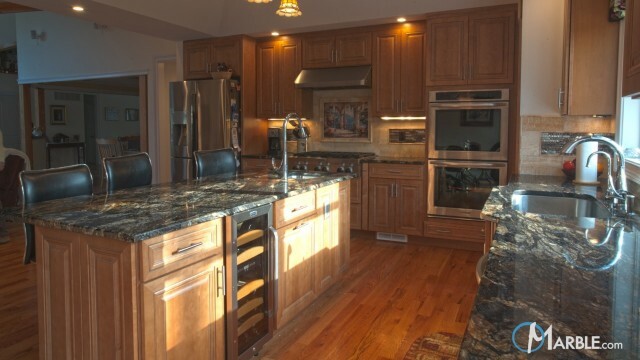 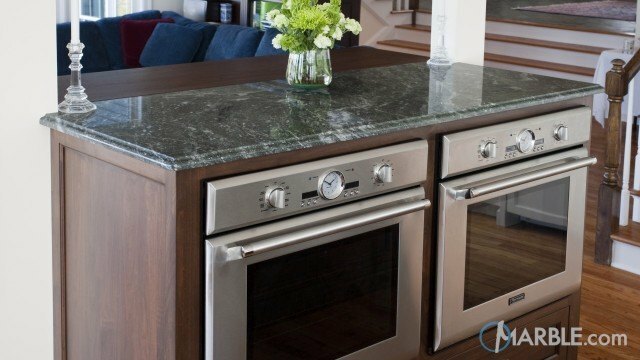 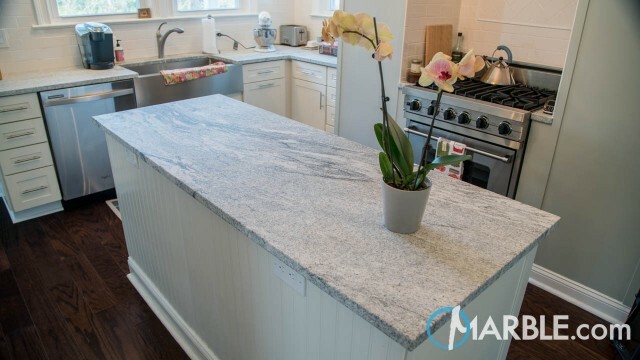 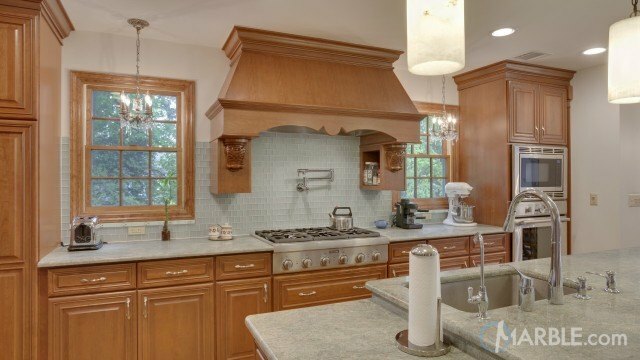 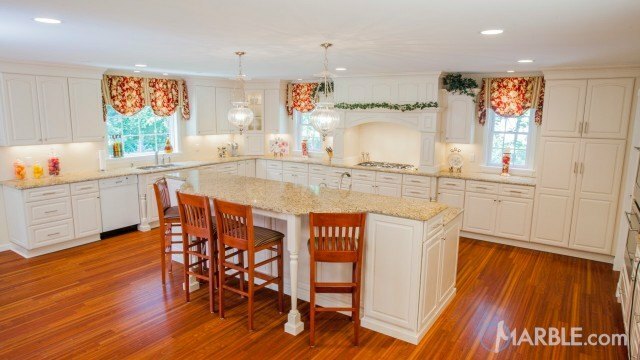 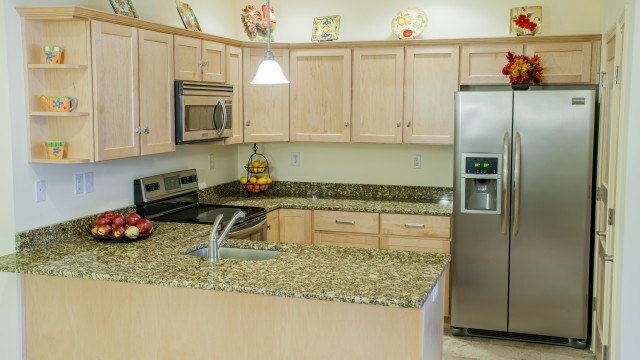 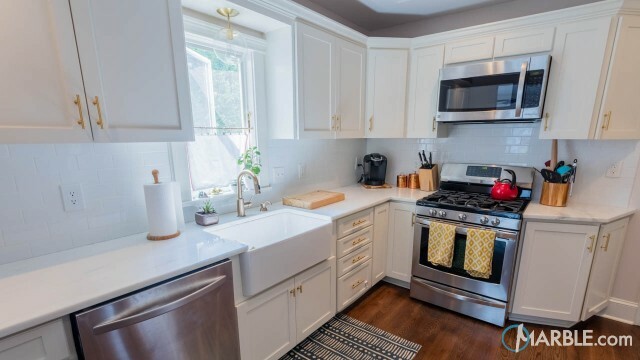 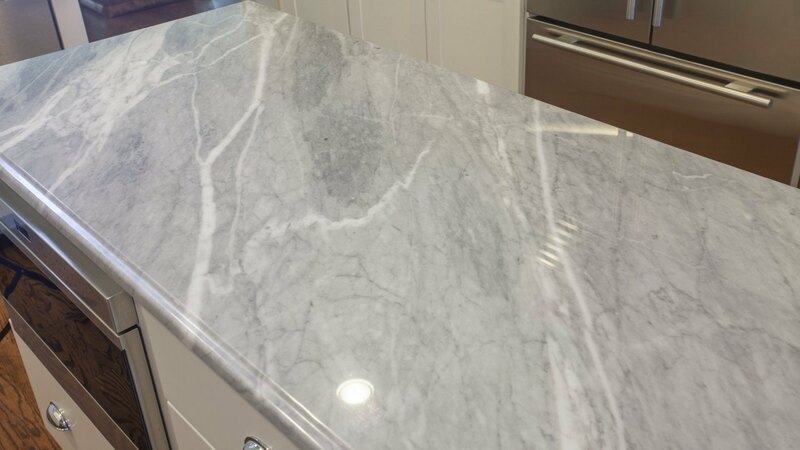 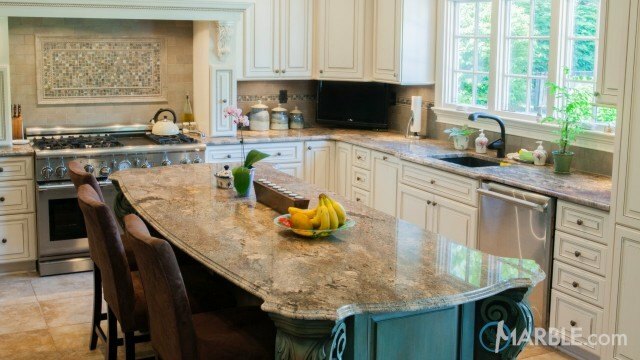 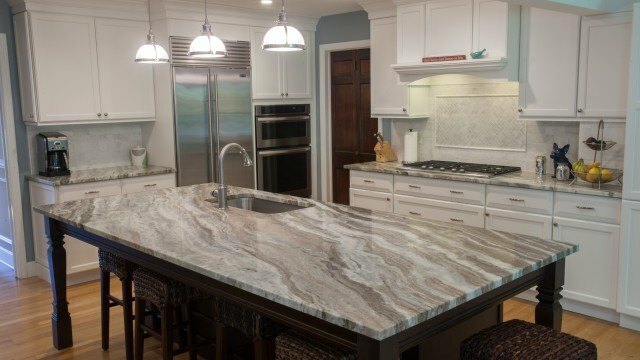 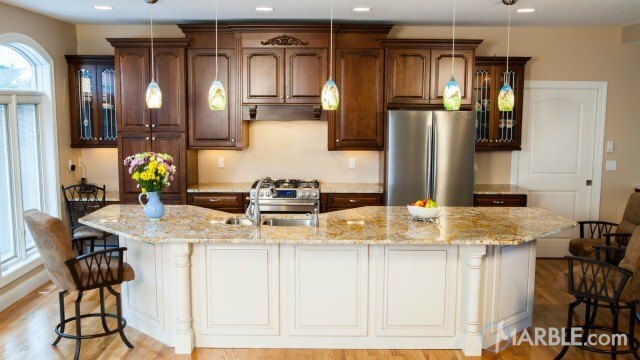 As marble is not always recommended for high traffic kitchens, a good work around is to only use marble on the island. 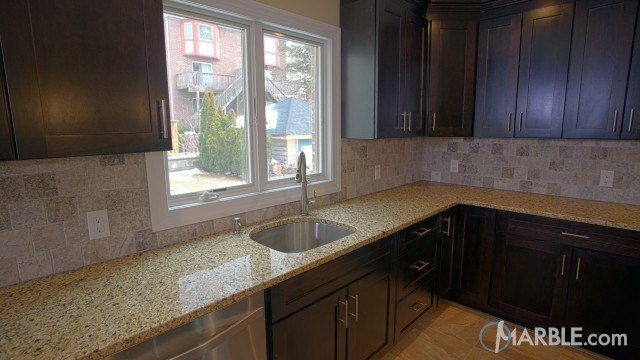 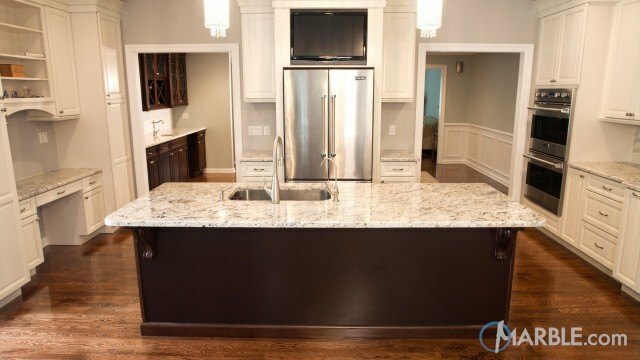 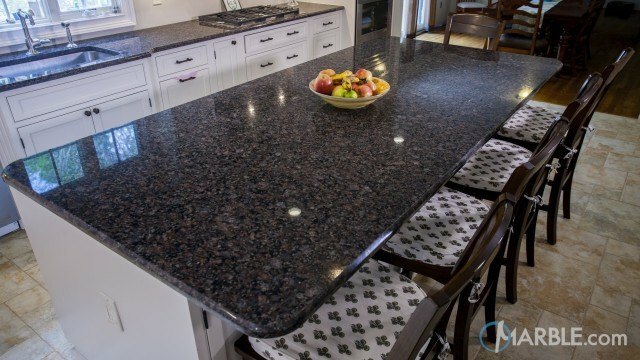 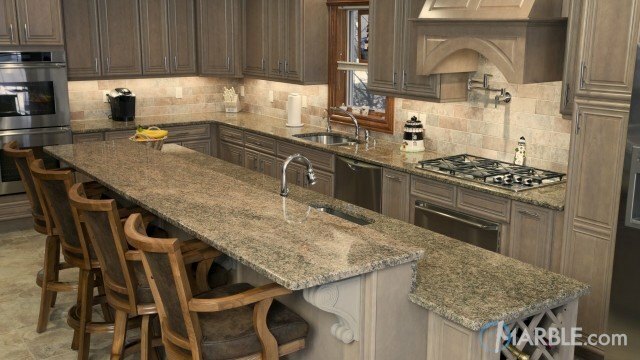 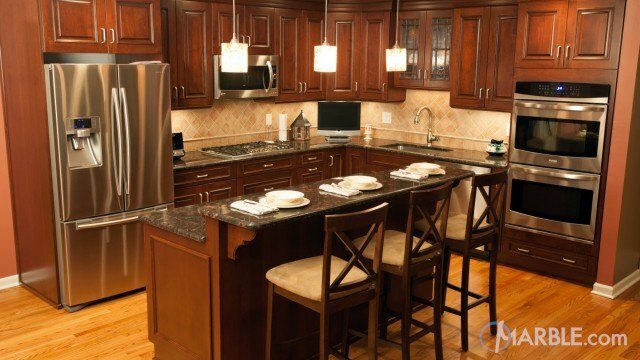 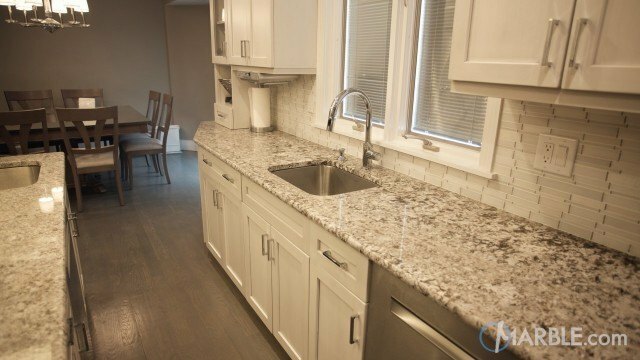 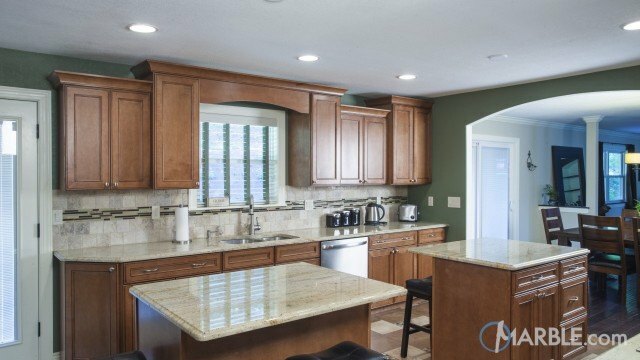 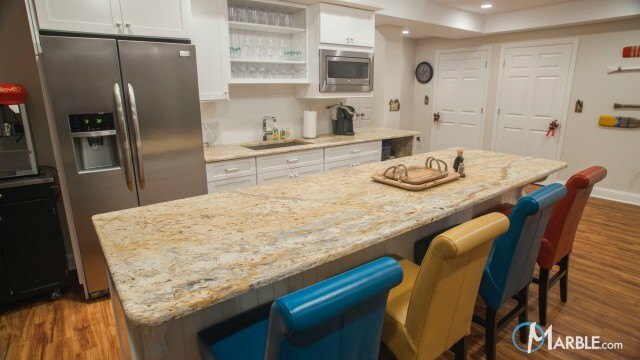 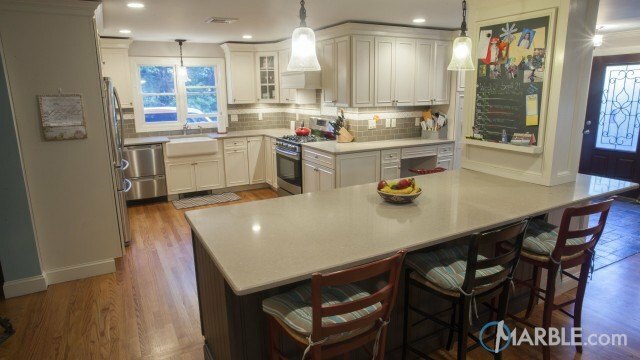 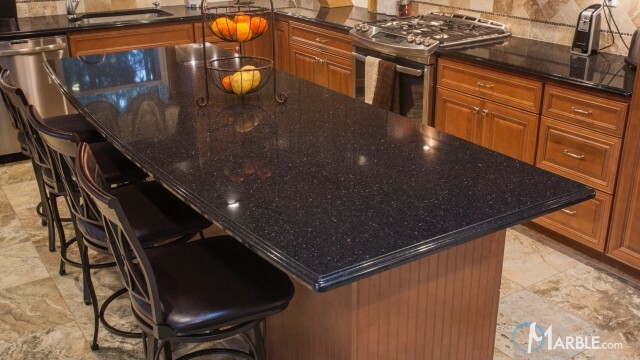 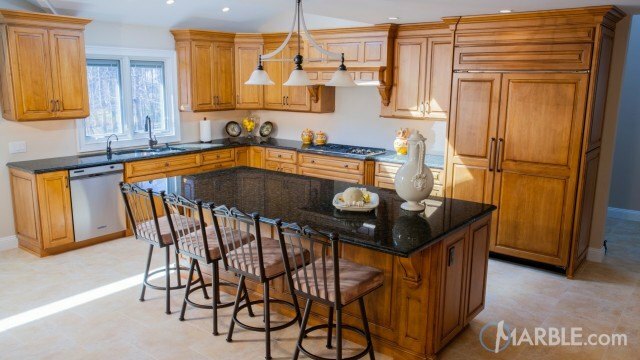 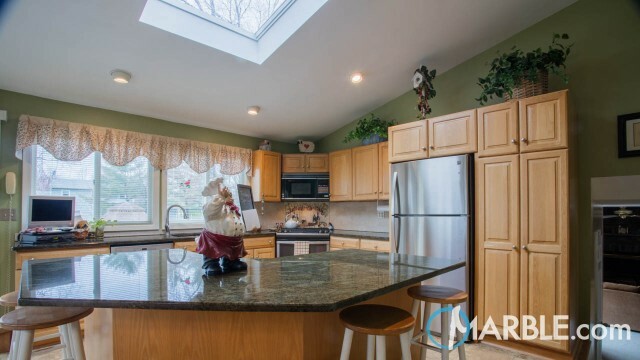 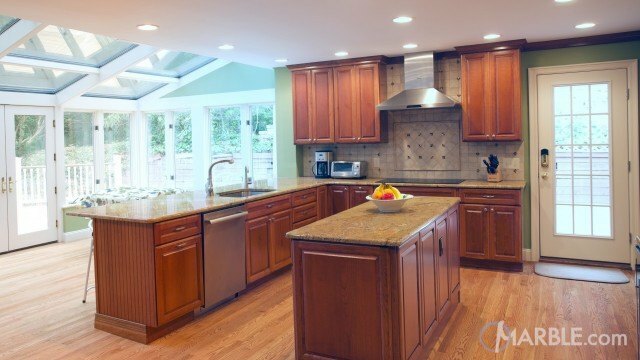 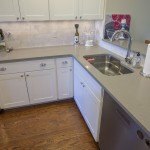 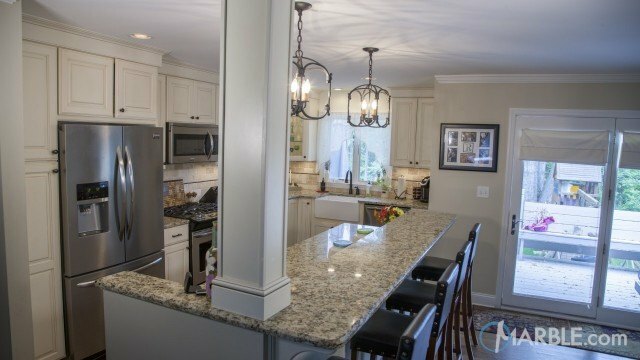 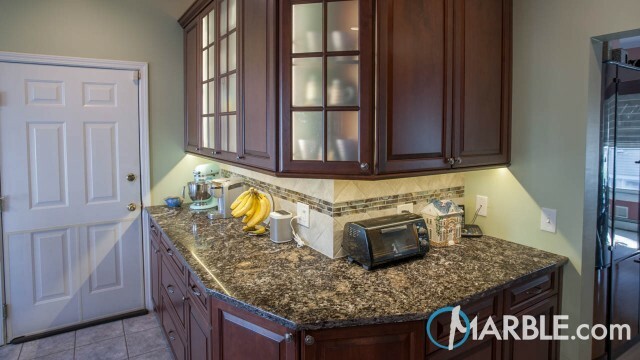 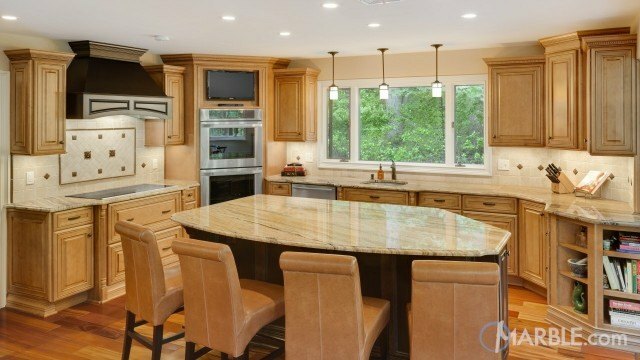 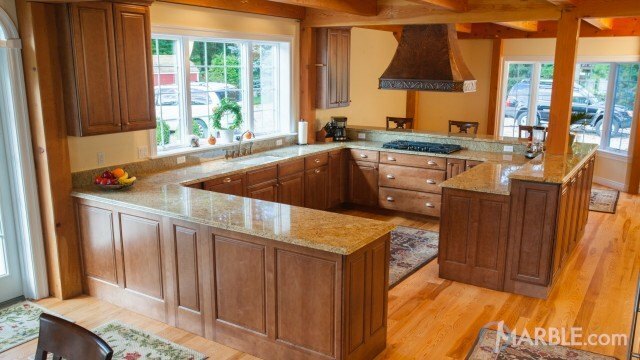 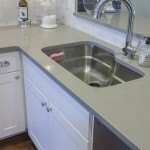 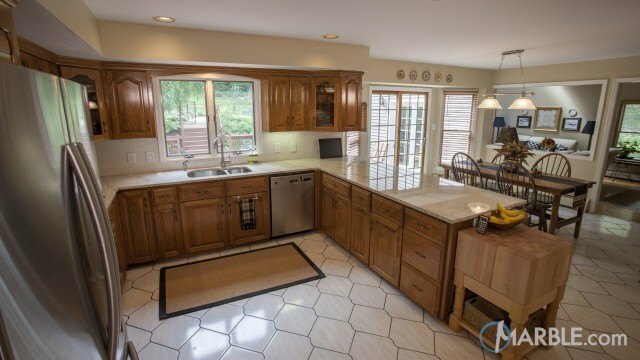 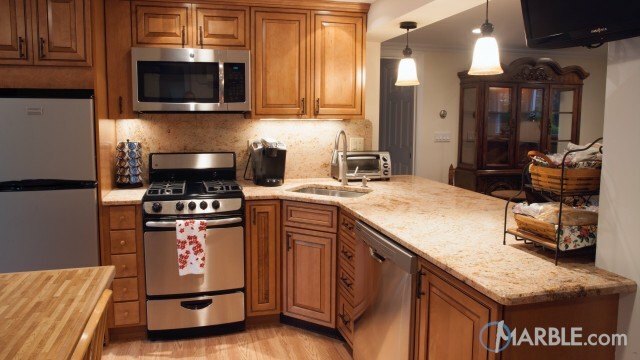 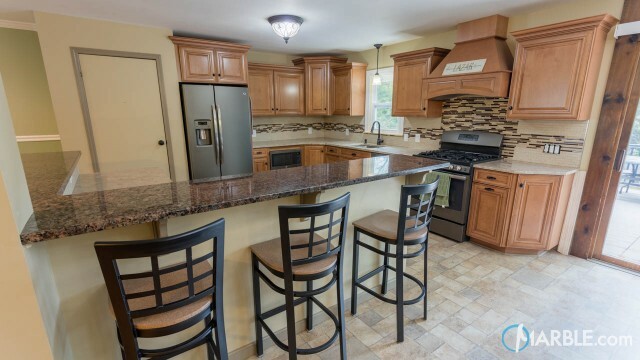 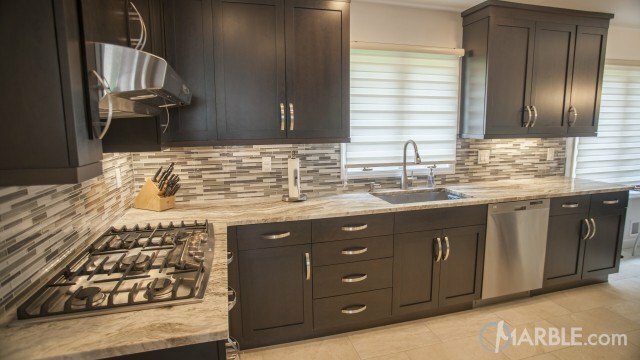 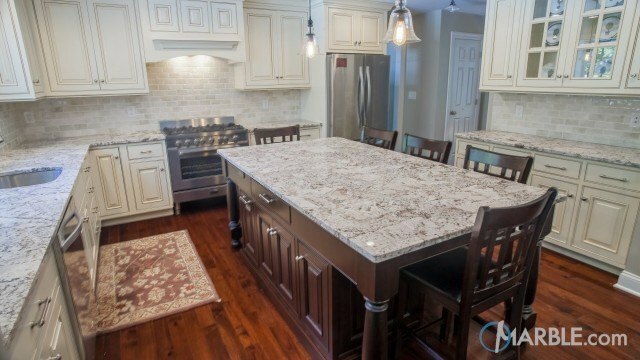 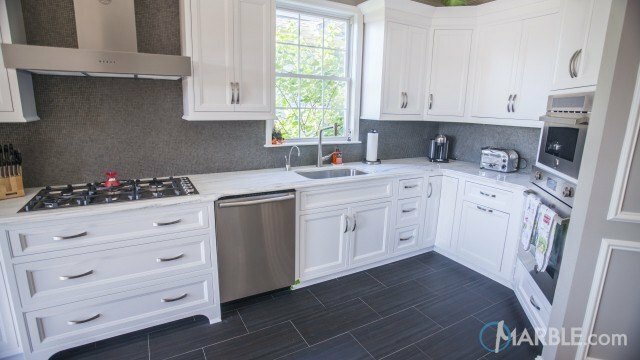 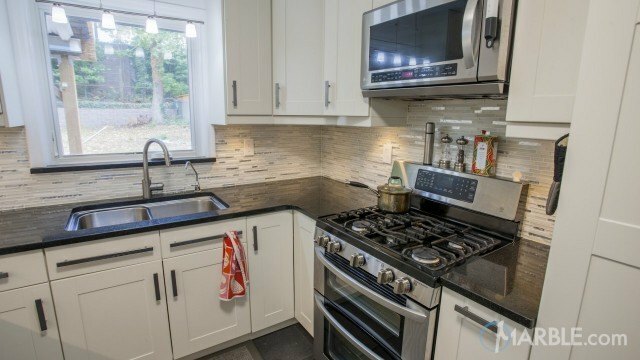 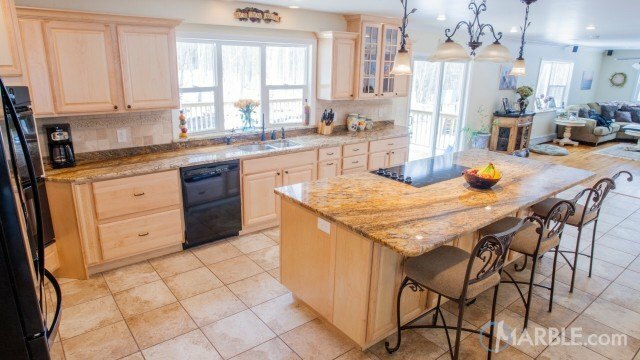 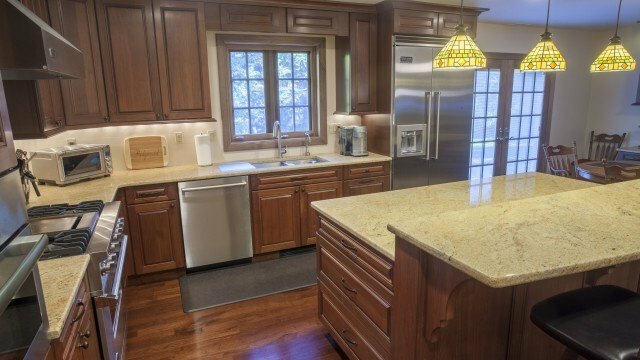 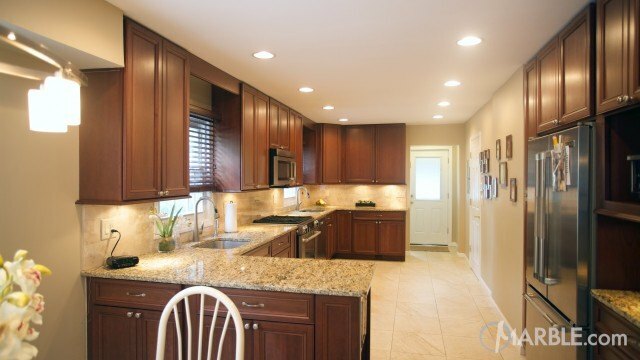 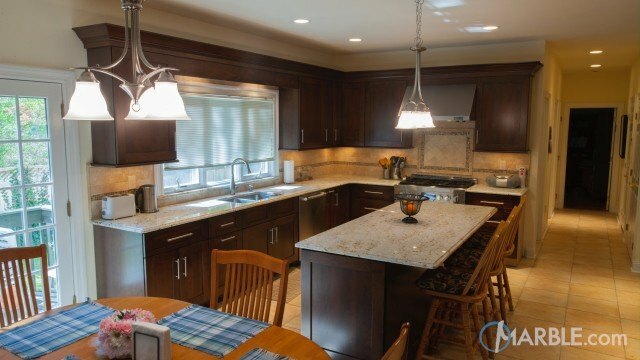 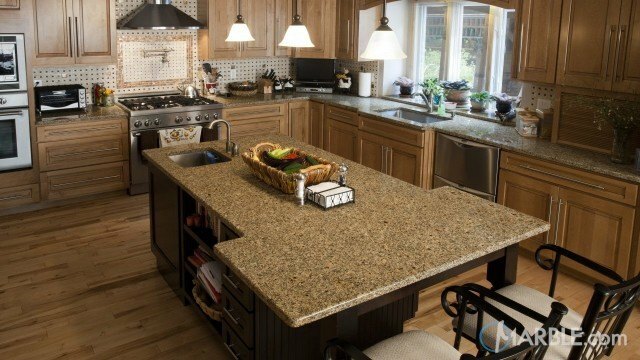 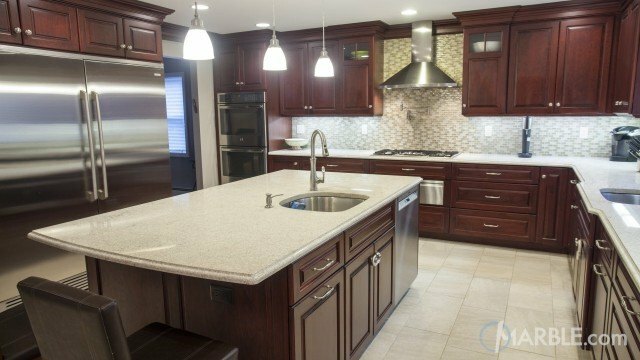 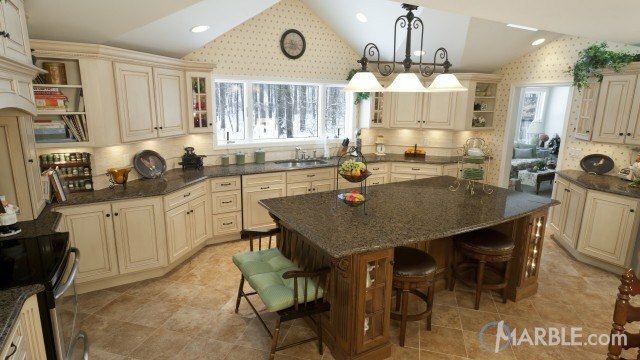 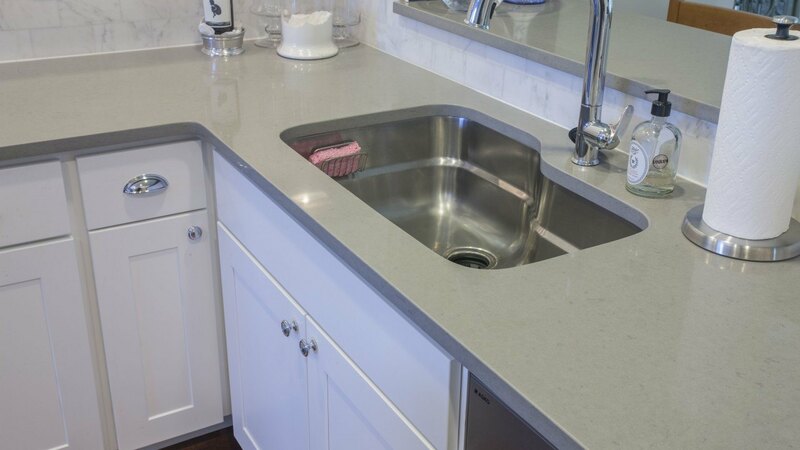 Utilizing the Ogee Edge on just the island gives this kitchen a classic look but also saves on the price.